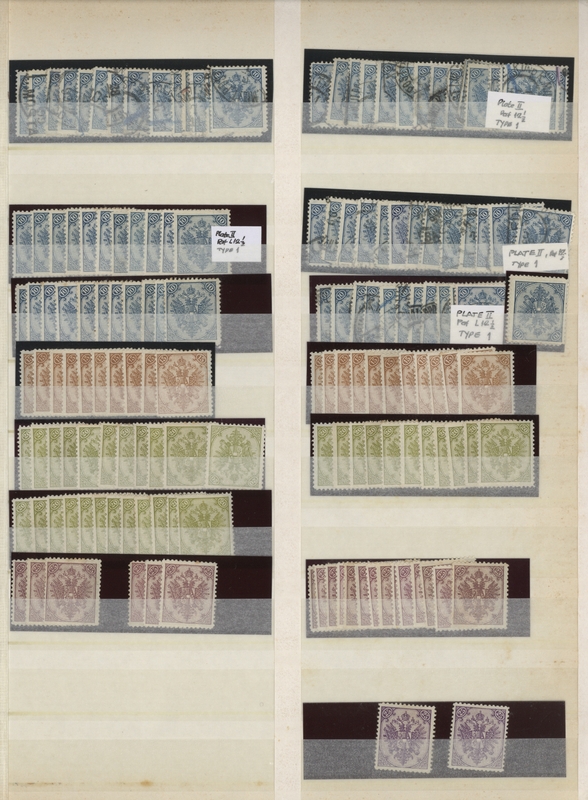 34355 gestempelt (marked) ungebraucht (hinged) * ungebraucht ohne Gummi (unused without gum) (*) 1879/1899, Definitives "Double Eagle", specialised assortment of 25 stamps, mainly 2kr. 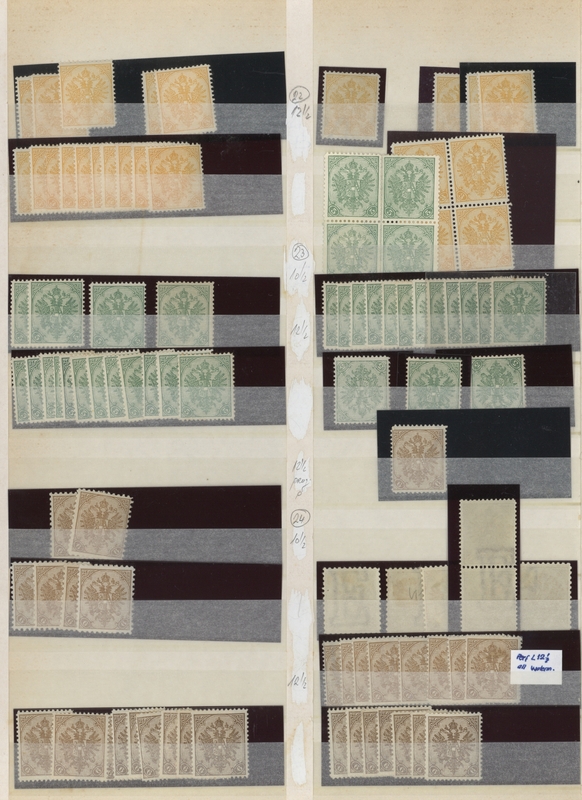 yellow, all stated to types incl. better pieces like three copies perf. 11:13. Michel no. 2 etc. 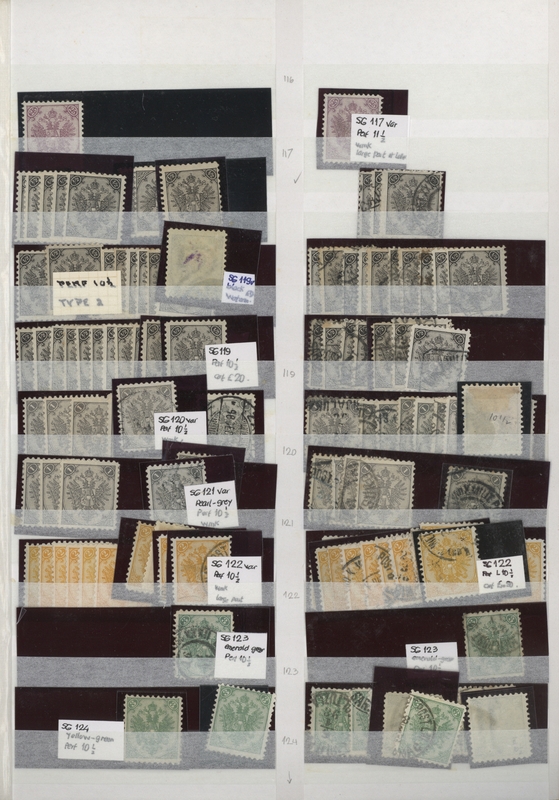 34356 gestempelt (marked) ungebraucht (hinged) * postfrisch (never hinged) ** 1879/1899, Definitives "Double Eagle", specialised assortment of 40 stamps, mainly 1kr. grey, all stated to types incl. 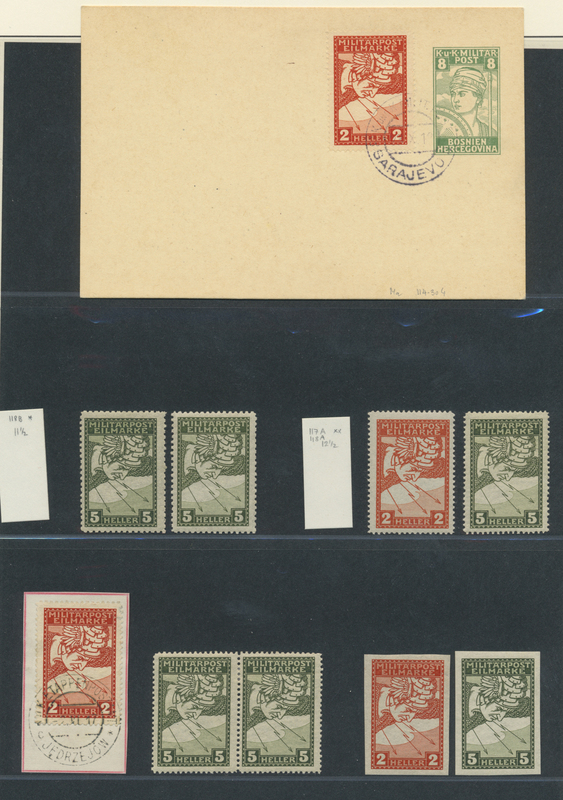 better pieces like mint block of four perf. 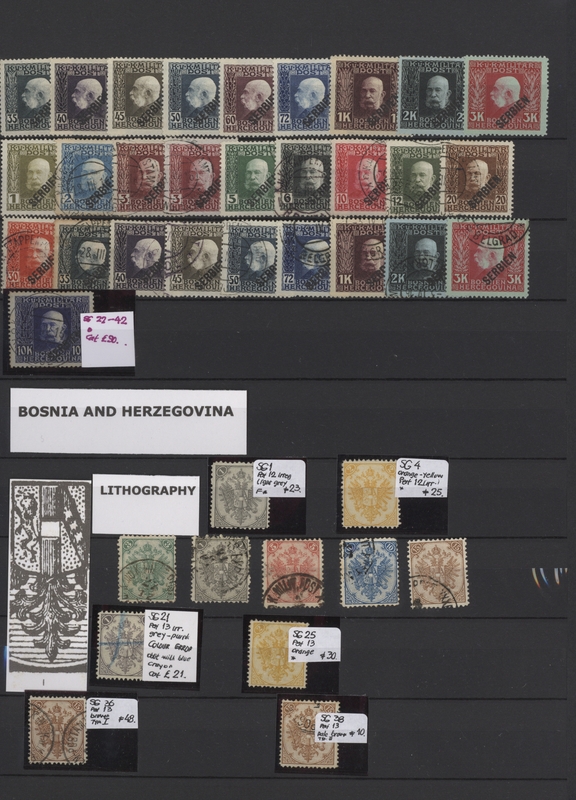 11½, used single stamp perf. 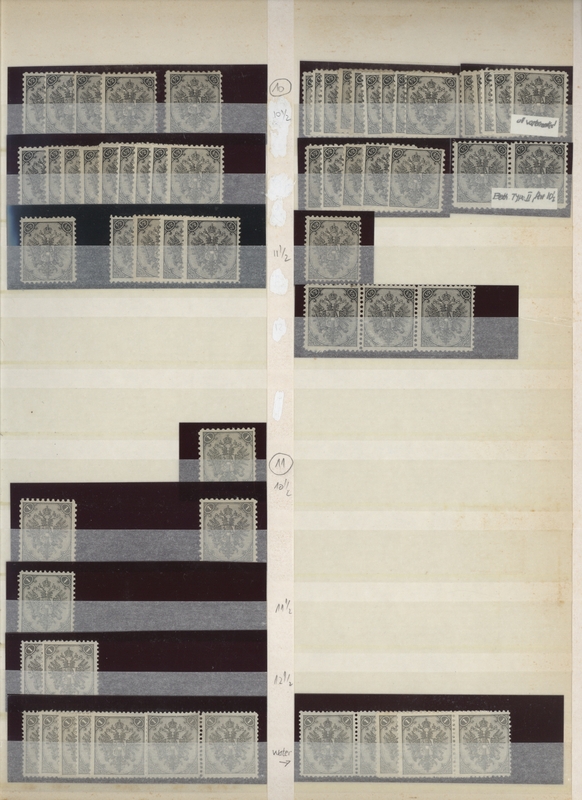 11:11½, some particularities of printing, foreign postmarks (applied upon arrival on newspapers). Michel no. 1 etc. 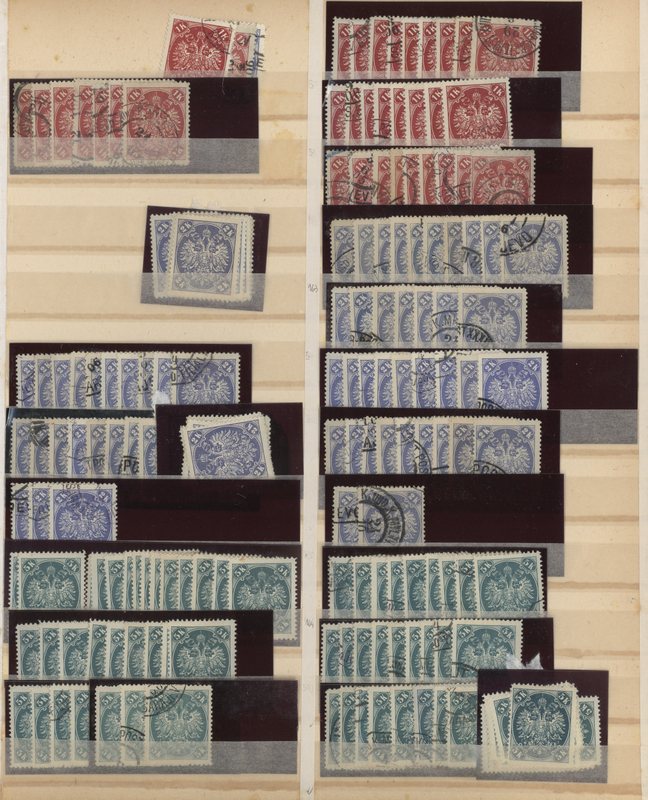 34361 gestempelt (marked) postfrisch (never hinged) ** ungebraucht (hinged) * 1879/1918, comprehensive used and mint accumulation on stockcards/stockpages with plenty of material, good section Coat of Arms issues incl. some specialisation. 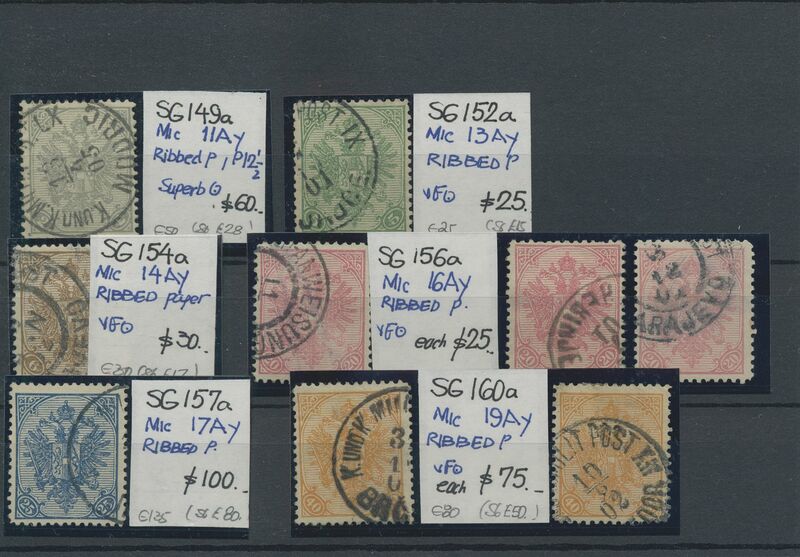 Interesting lot for the specialist, viewing advised! 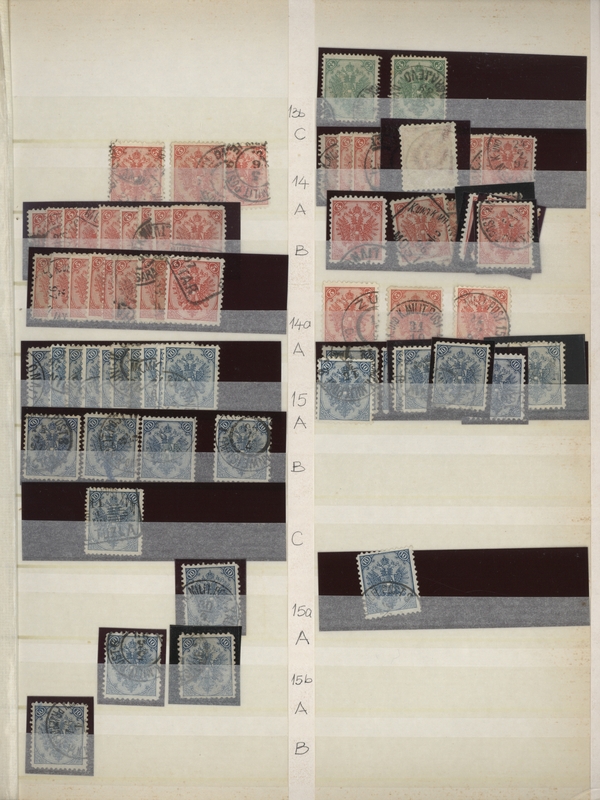 34365 ungebraucht (hinged) * gestempelt (marked) 1891/1900, Coat of Arms, specialised assortment of 74 stamps incl. 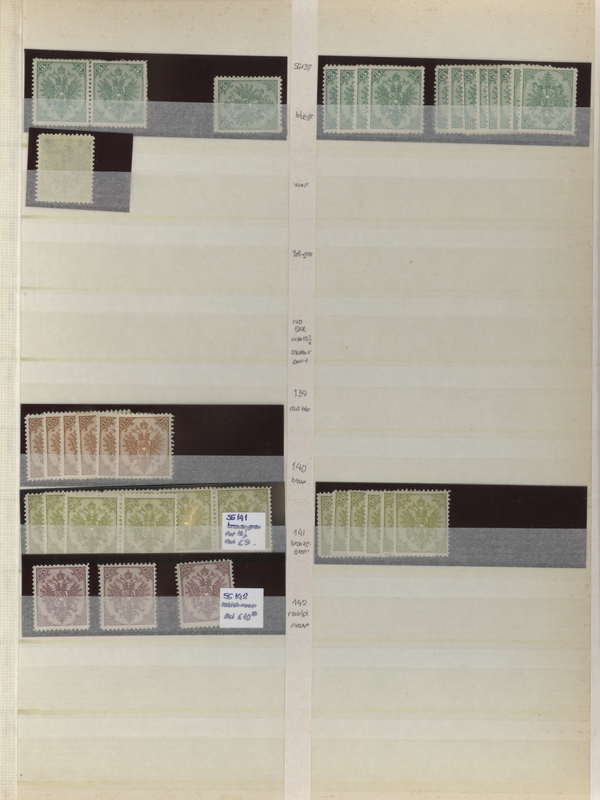 blocks of four, showing type pairs, particularities of watermark etc. 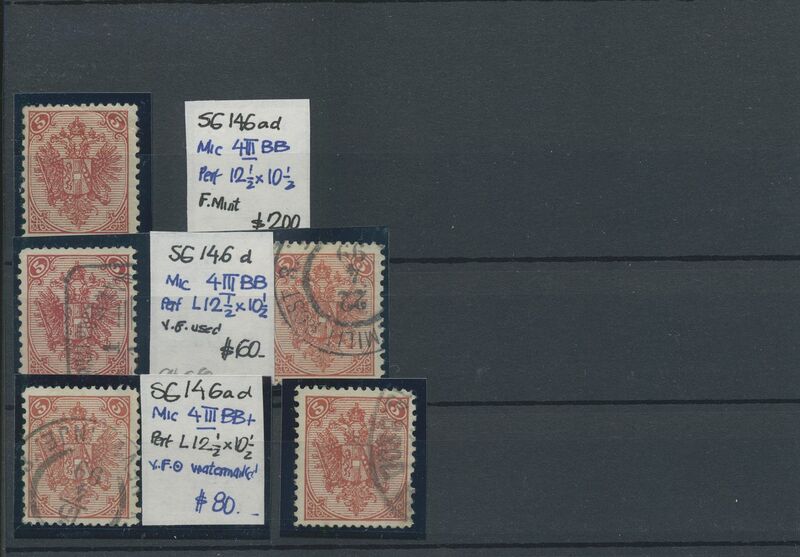 34367 Ansichtskarte (Picture postcard) 1899/1905, Coat of Arms, lot of ten used ppc, incl. 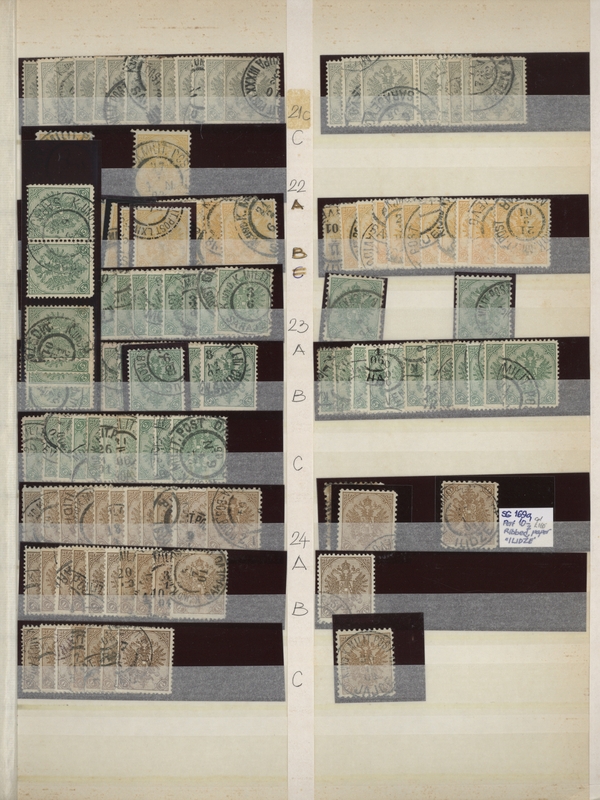 ms. cancellation, 1900 mixed franking old/new currency etc. 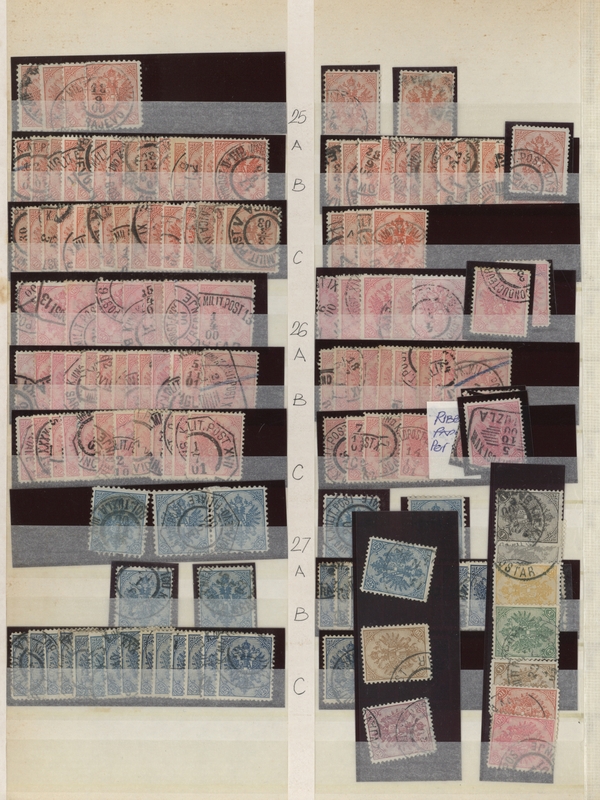 34368 ungebraucht (hinged) * gestempelt (marked) 1900, Definitives "Double Eagle", 1h. 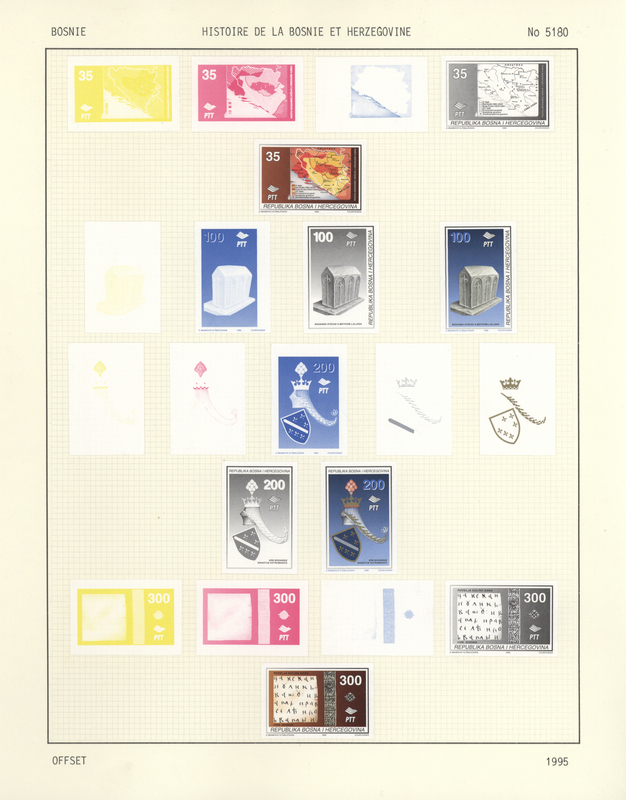 black, specialised assortment of 20 stamps, all stated to types incl. 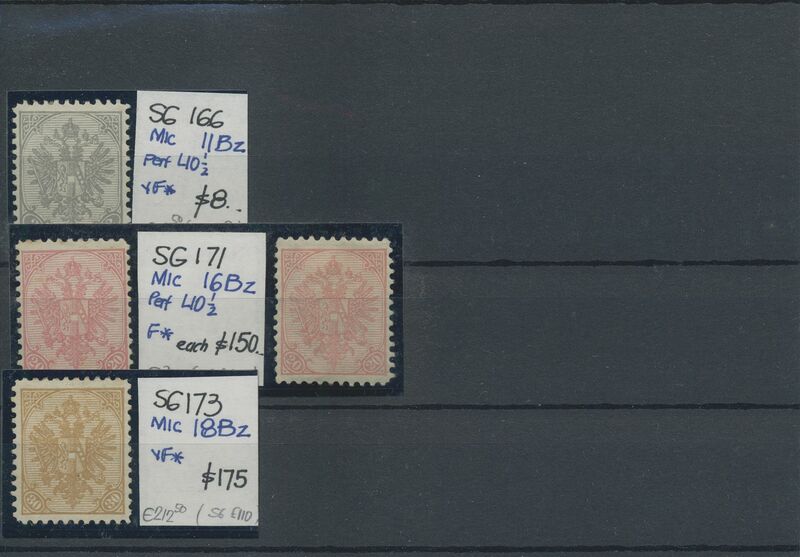 some blocks of four, special perforation 6½ (compound) etc. Michel no. 10. 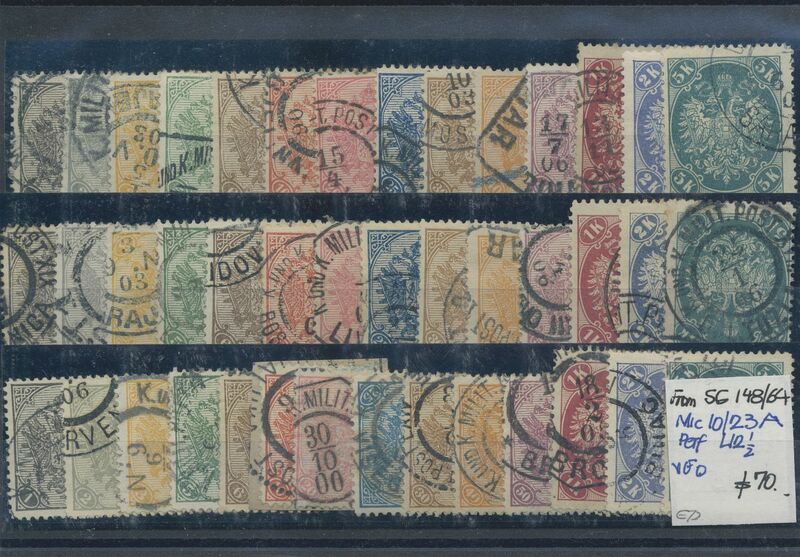 34369 gestempelt (marked) ungebraucht (hinged) * 1900, Definitives "Double Eagle", 2h. 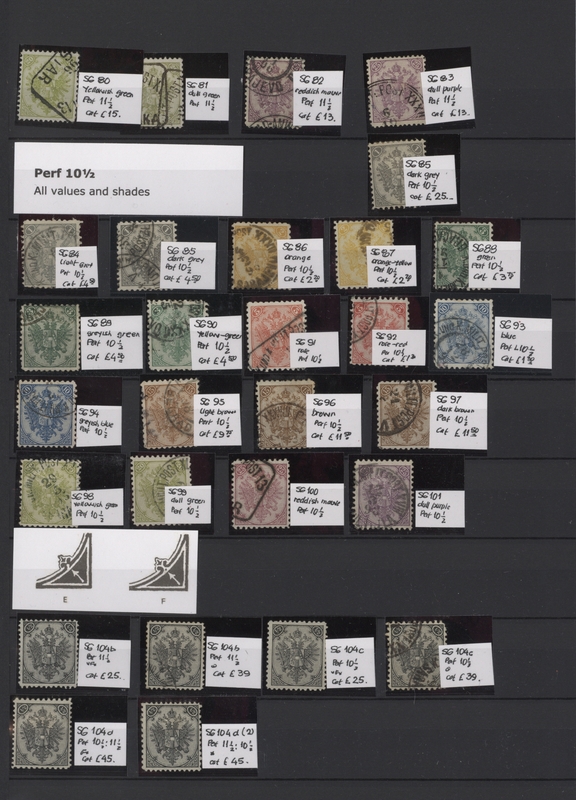 grey, specialised assortment of 19 stamps, all stated to types incl. 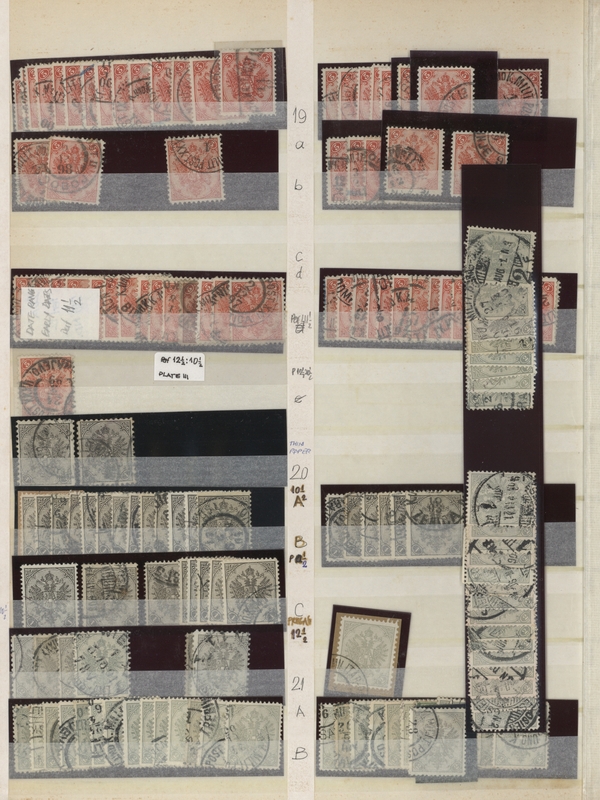 block of four and strip of four, some stated to better types of paper. Michel no. 11. 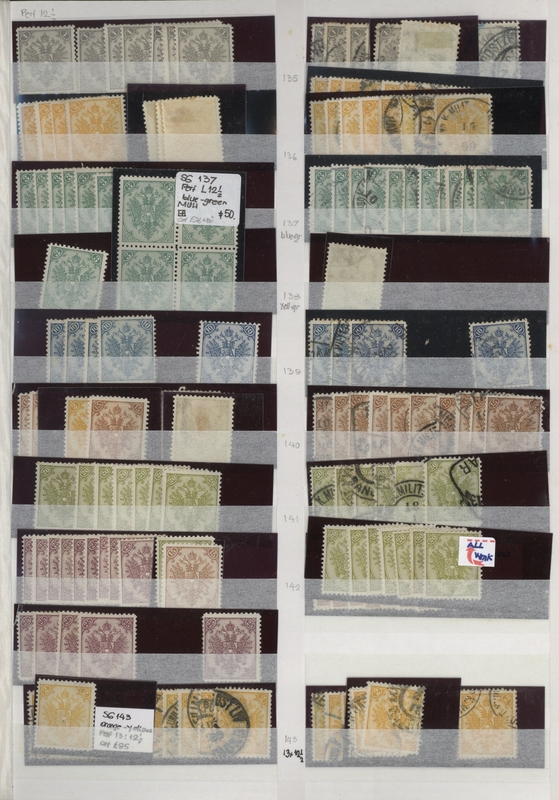 34370 ungebraucht (hinged) * Briefstück (on piece) postfrisch (never hinged) ** 1900, Definitives "Double Eagle", 3h. 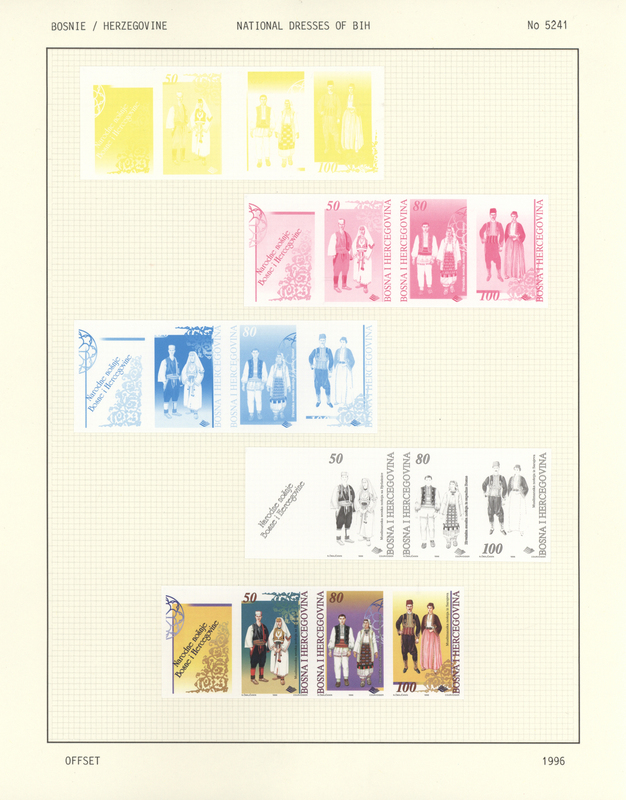 yellow, specialised assortment of 15 stamps, all stated to types incl. 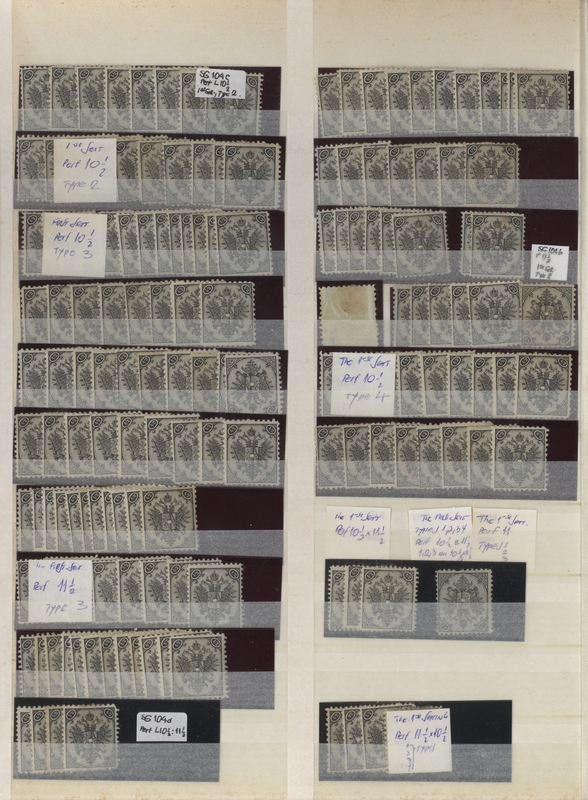 some special perforations 6½ (single and compound), three used imperf. 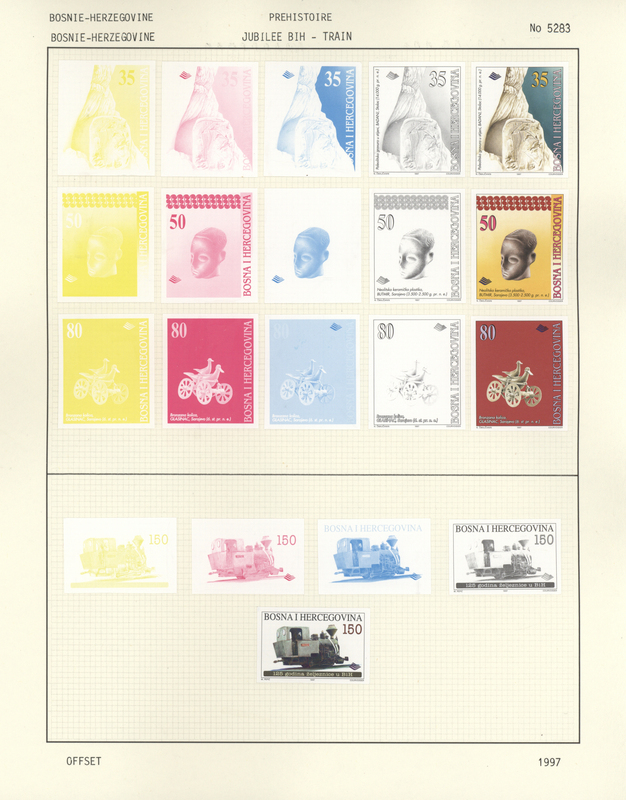 stamps (single and pair), mint stamp perf. 10½ etc. Michel no. 12. 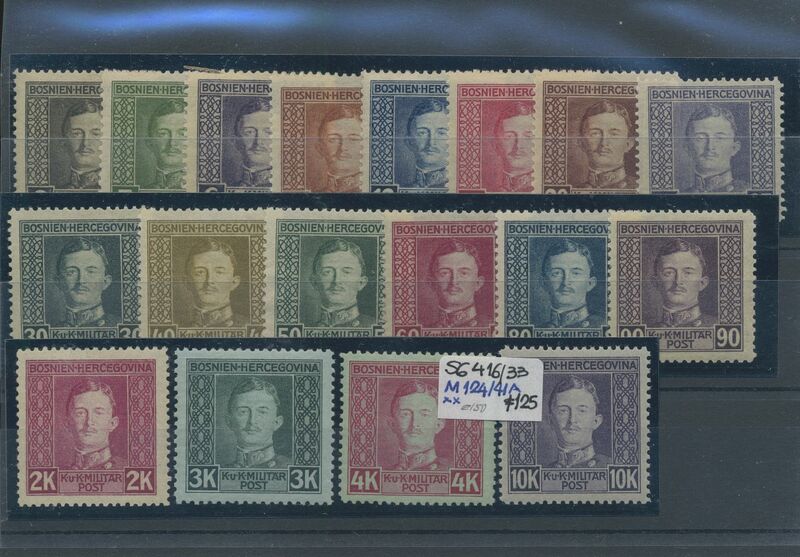 34371 ungebraucht (hinged) * gestempelt (marked) 1900, Definitives "Double Eagle", 5h. 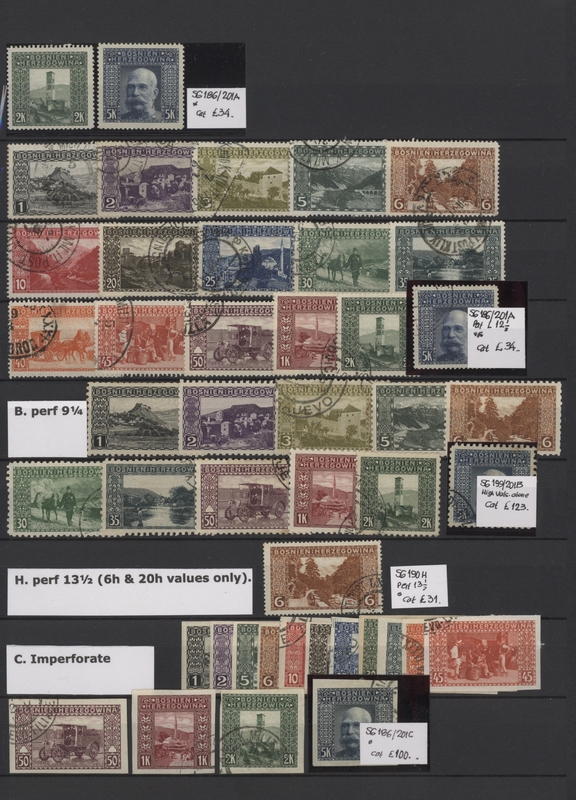 green, specialised assortment of 16 stamps, all stated to types, some special perforations 6½ (compound), two used copies in compound perforation 10½:12½ and 12½:10½ respectively etc. Michel no. 13. 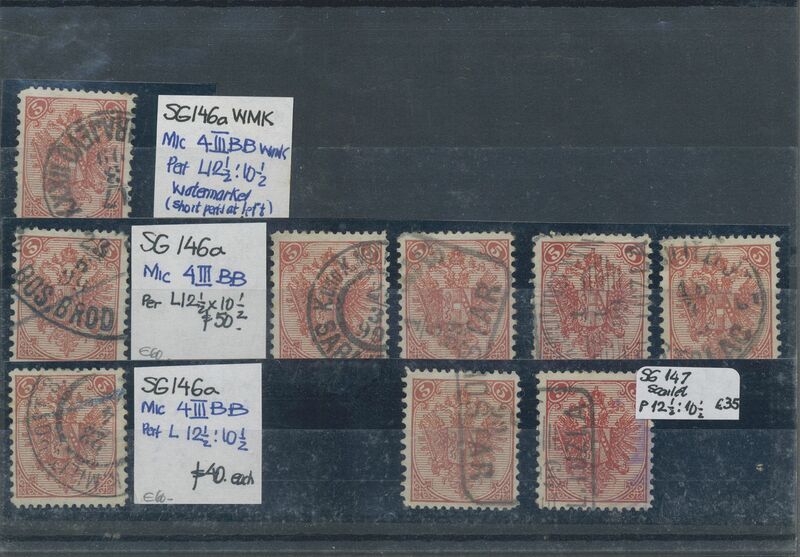 34372 ungebraucht (hinged) * gestempelt (marked) 1900, Definitives "Double Eagle", 6h. 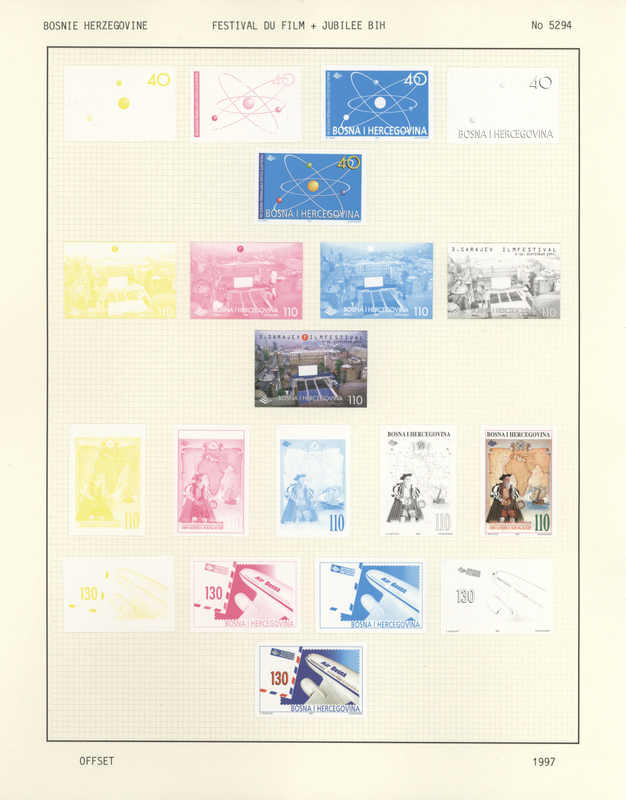 brown, specialised assortment of 18 stamps incl. 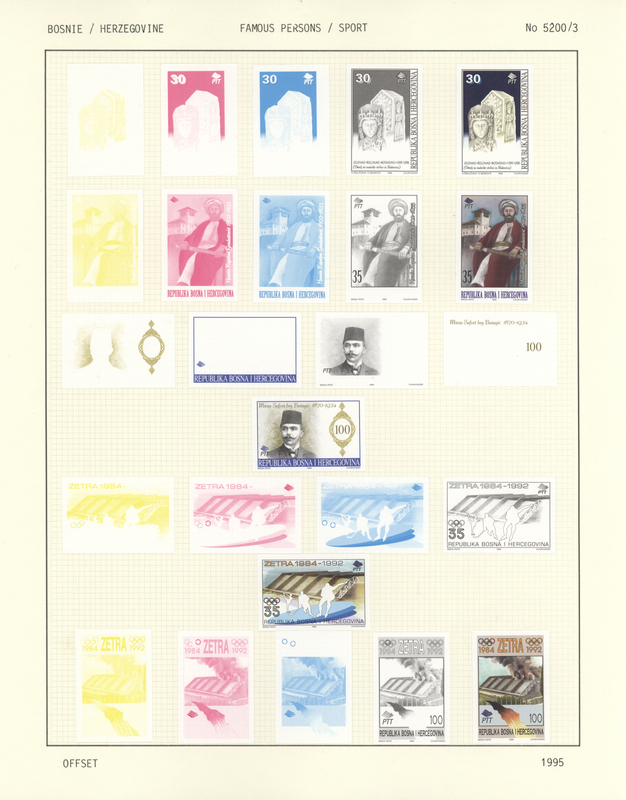 blocks of four, all stated to types, special perforation 6½ (compound) etc. Michel no. 14. 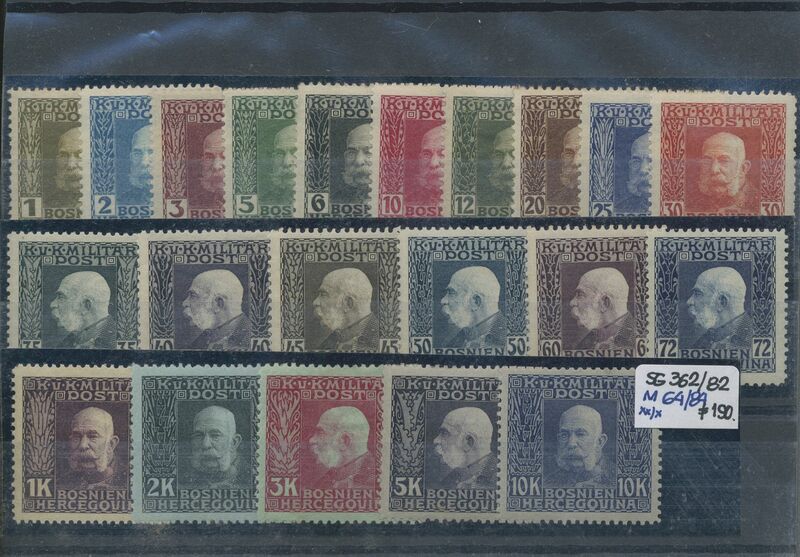 34373 gestempelt (marked) ungebraucht (hinged) * 1900, Definitives "Double Eagle", 10h. 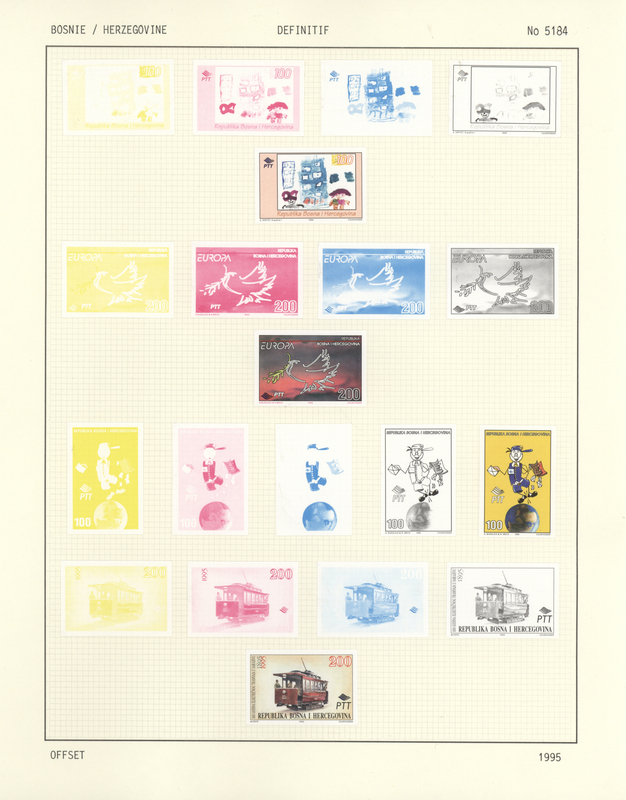 red, specialised assortment of 14 stamps incl. 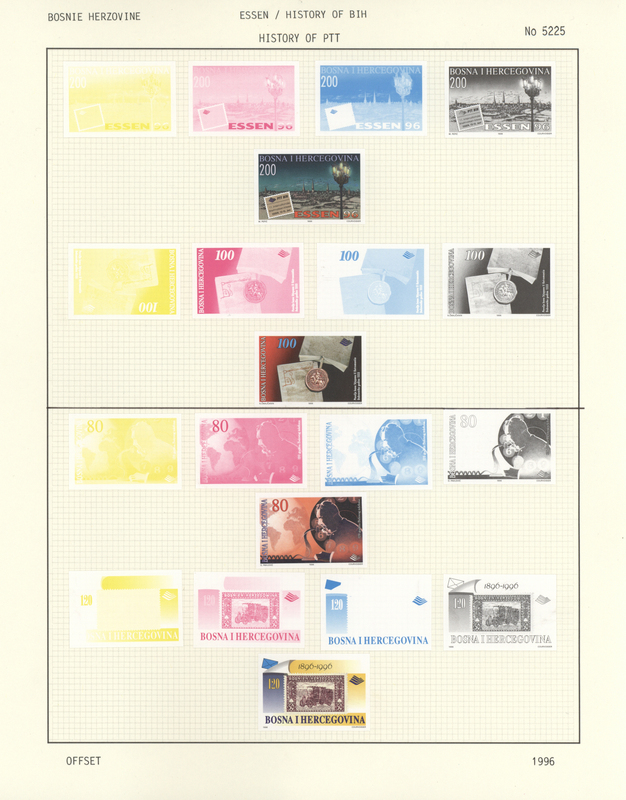 a mint block of four, all stated to types. Michel no. 15. 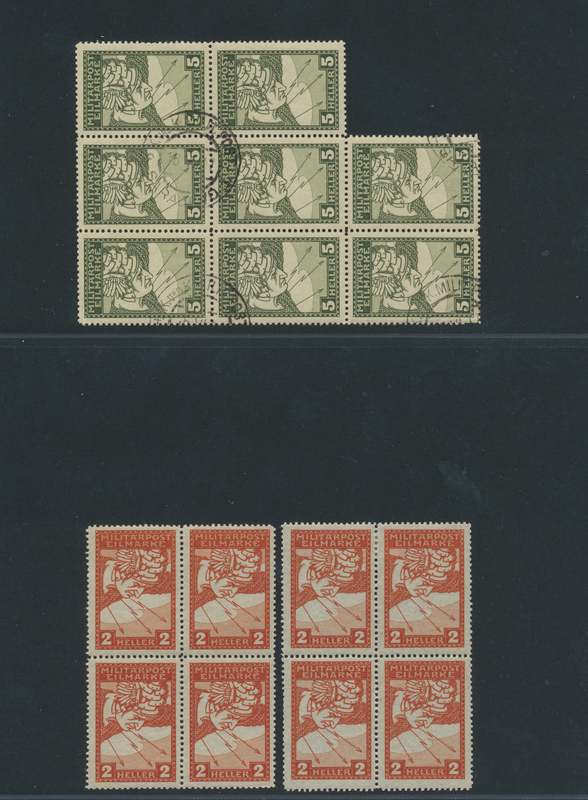 34374 ungebraucht (hinged) * gestempelt (marked) postfrisch (never hinged) ** 1900, Definitives "Double Eagle", 20h. 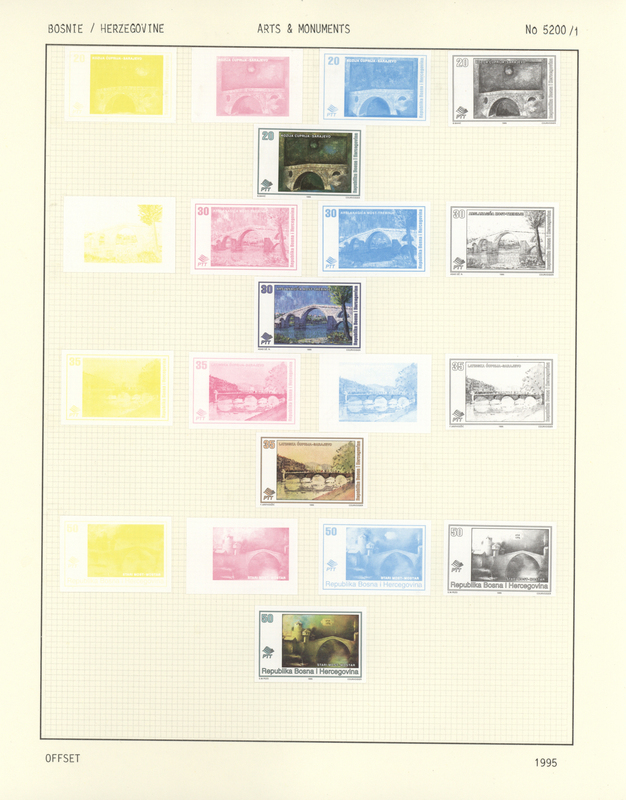 rose, specialised assortment of 26 stamps, all stated to types, incl. 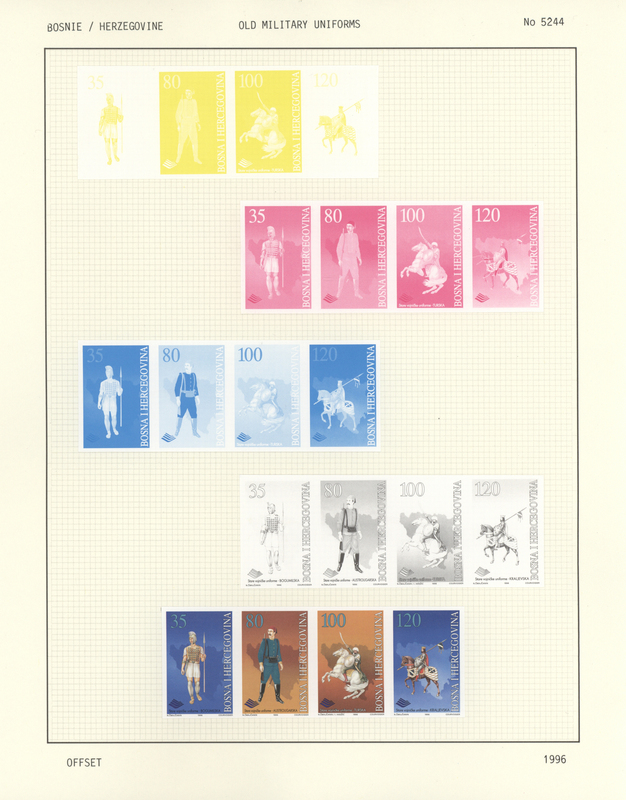 several mint copies (e.g. 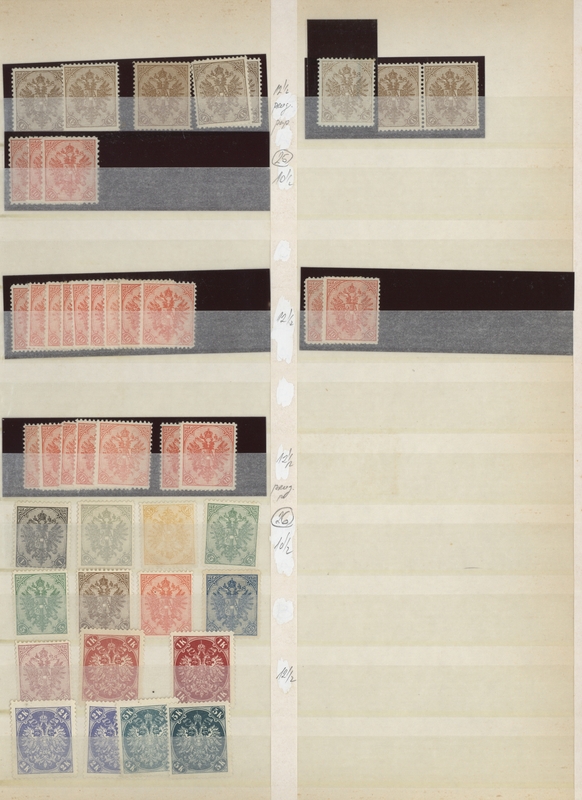 single stamp perf. 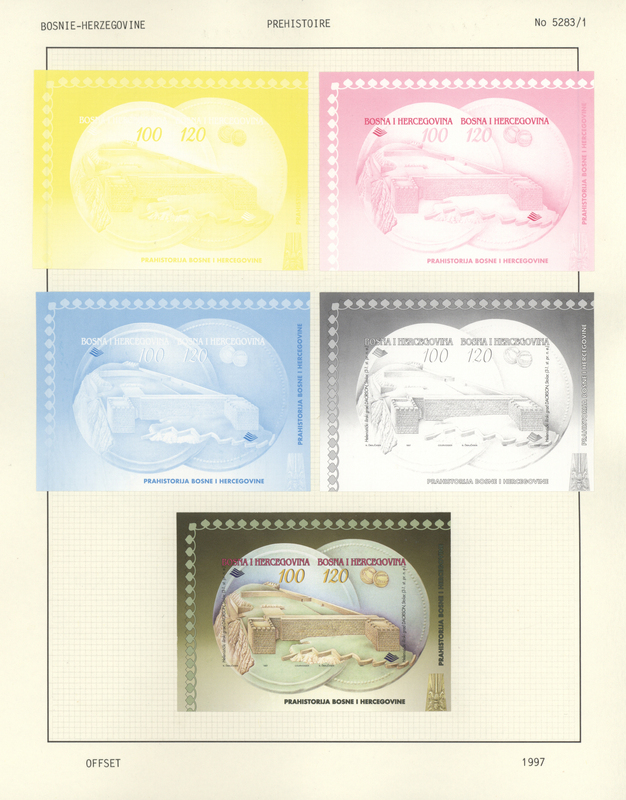 12½ mint; mint block of four perf. 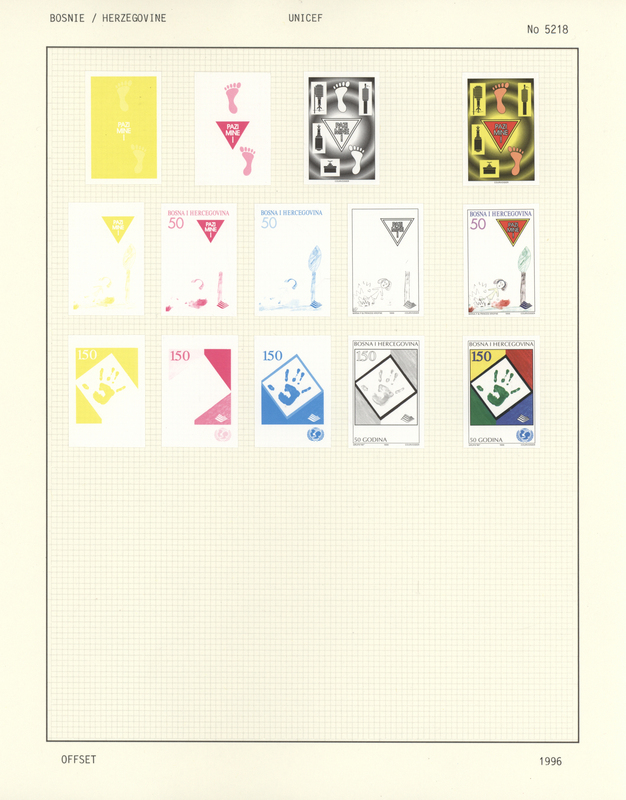 12½) etc. Michel no. 16. 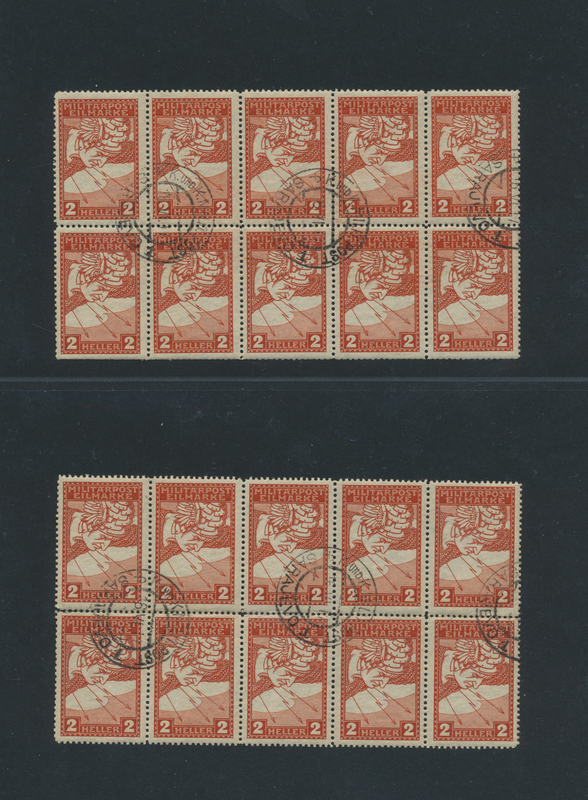 34375 ungebraucht (hinged) * gestempelt (marked) 1900, Definitives "Double Eagle", 25h. 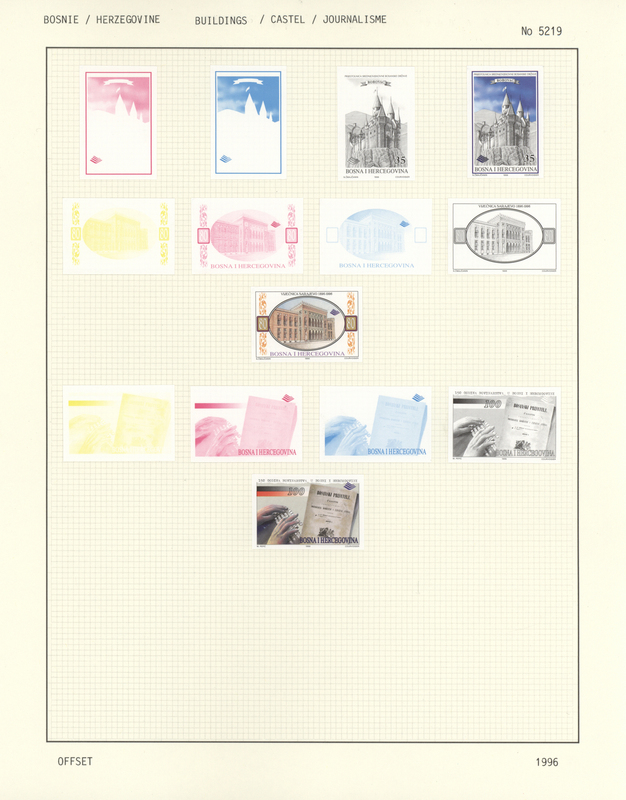 blue, specialised assortment of 23 stamps, all stated to types, incl. 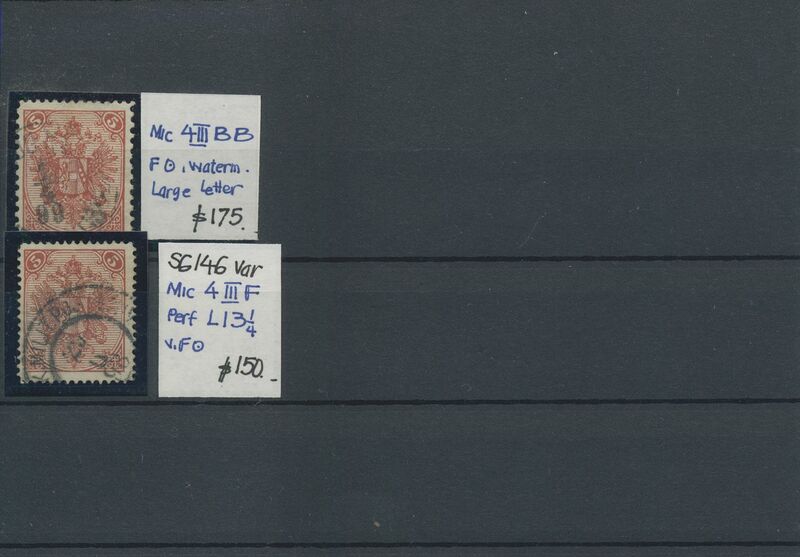 special perforation 6½ (compound) etc. Michel no. 17. 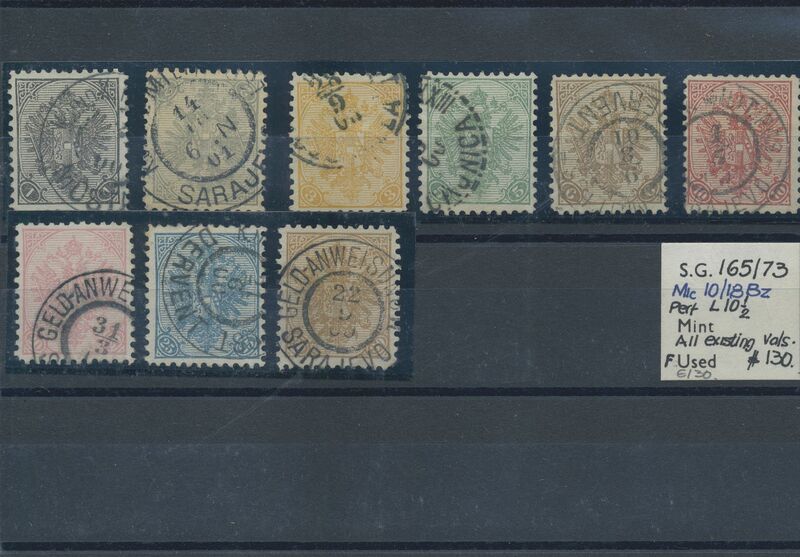 34376 gestempelt (marked) ungebraucht (hinged) * 1900, Definitives "Double Eagle", 30h. 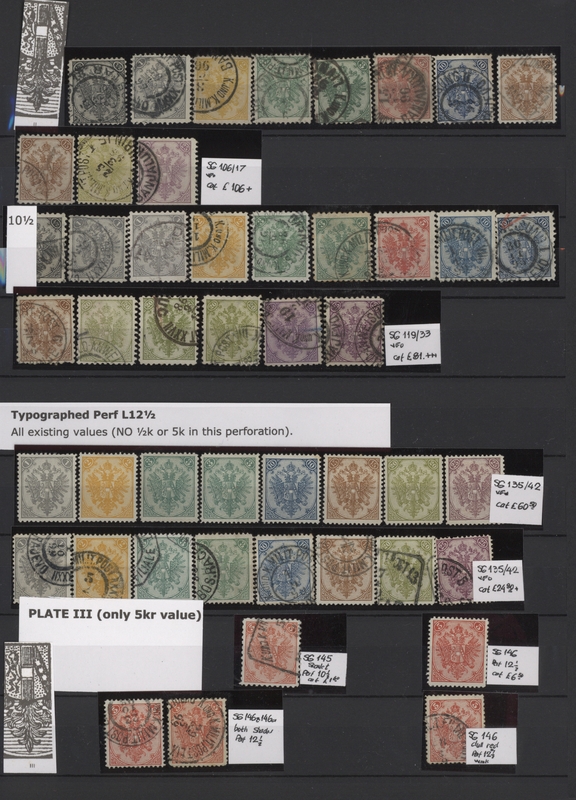 brown, specialised assortment of 13 stamps, all stated to types, incl. two used copies compound perf. 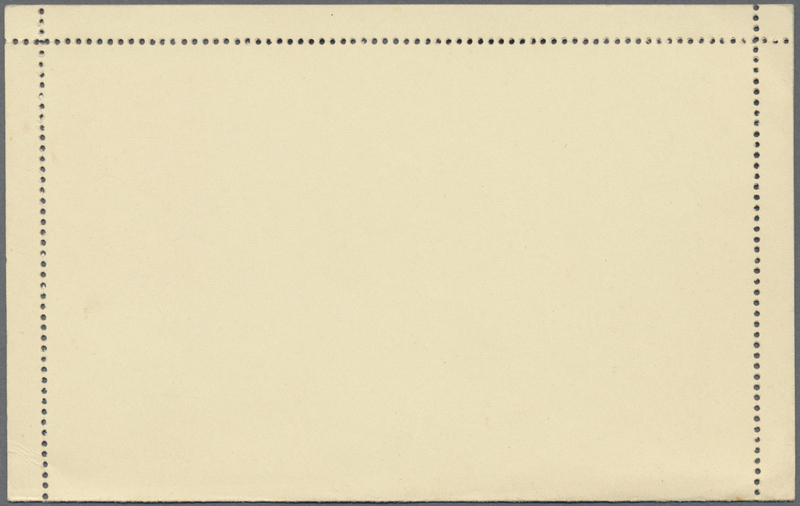 10½:12½, mint copy perf. 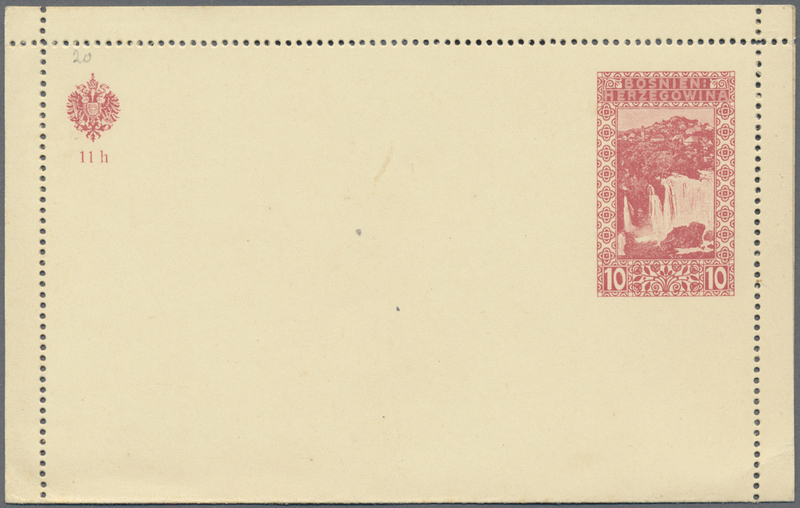 10½, mint stamp perf. 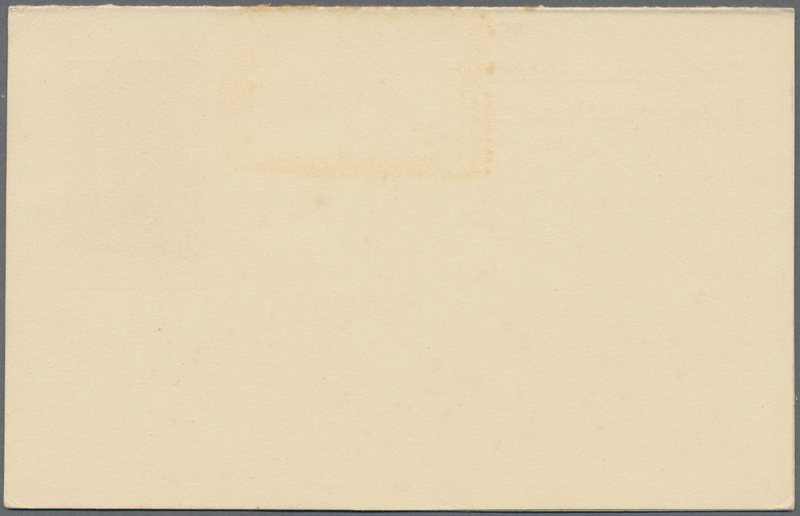 12½ ribbed paper etc. Michel no. 18. 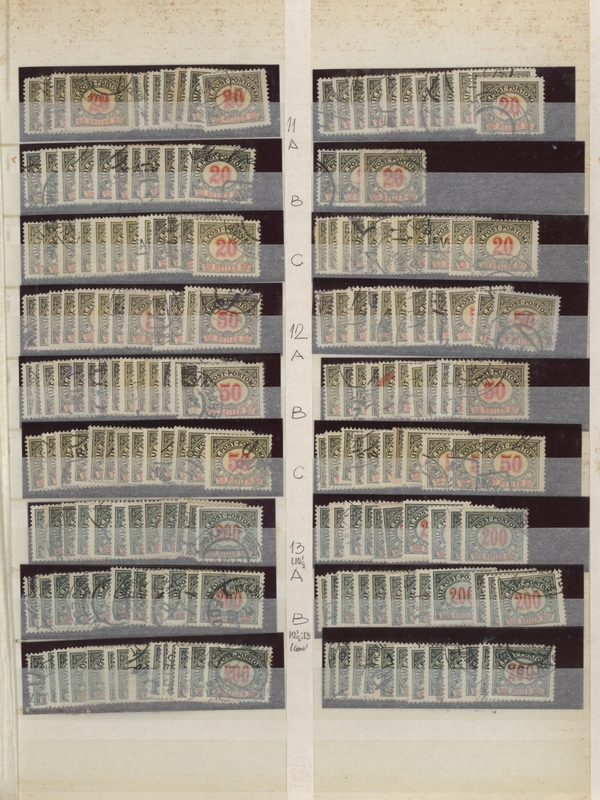 34377 ungebraucht (hinged) * gestempelt (marked) 1900, Definitives "Double Eagle", 40h. 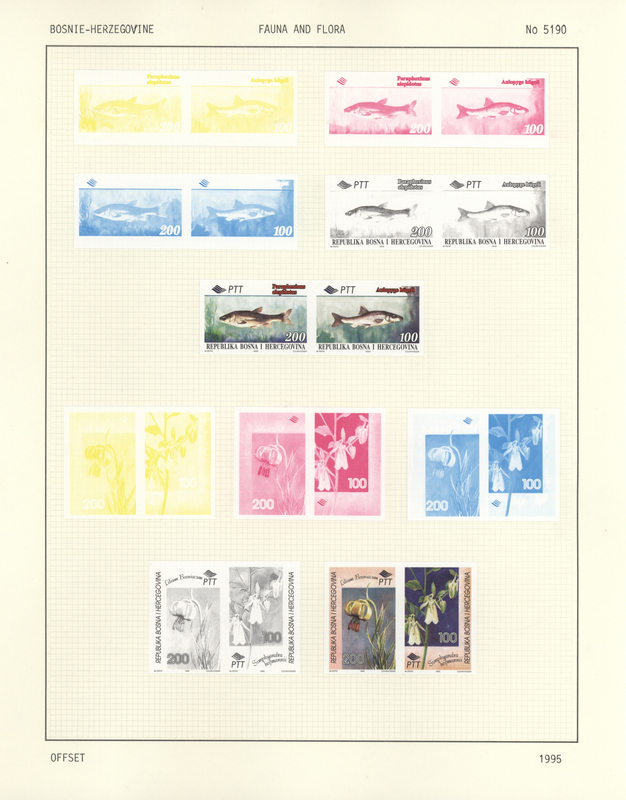 orange, specialised assortment of 17 stamps, all stated to types, incl. two mint copies perf. 12½, used copy compound perf. 10½:12½ etc. Michel no. 19. 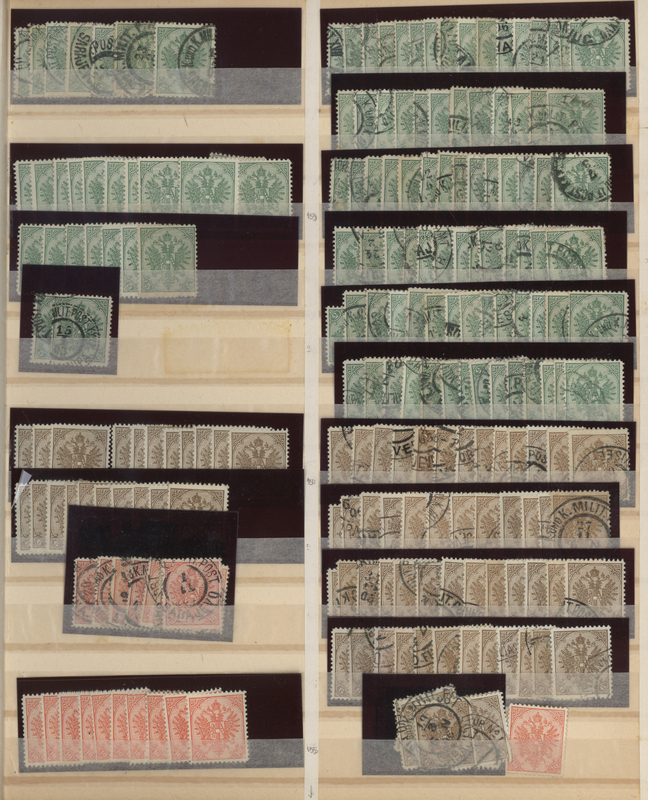 34378 gestempelt (marked) ungebraucht (hinged) * 1900, Definitives "Double Eagle", 50h. 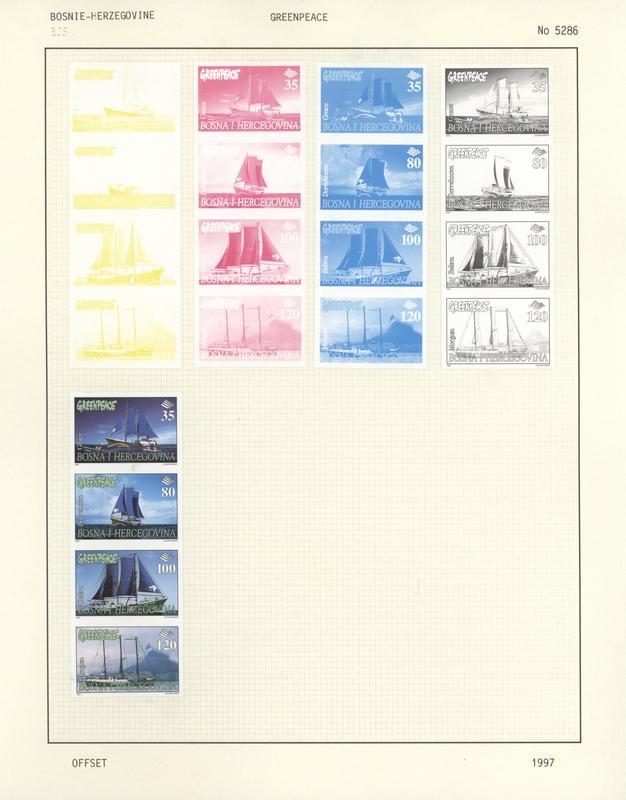 lilac, specialised assortment of 19 stamps incl. 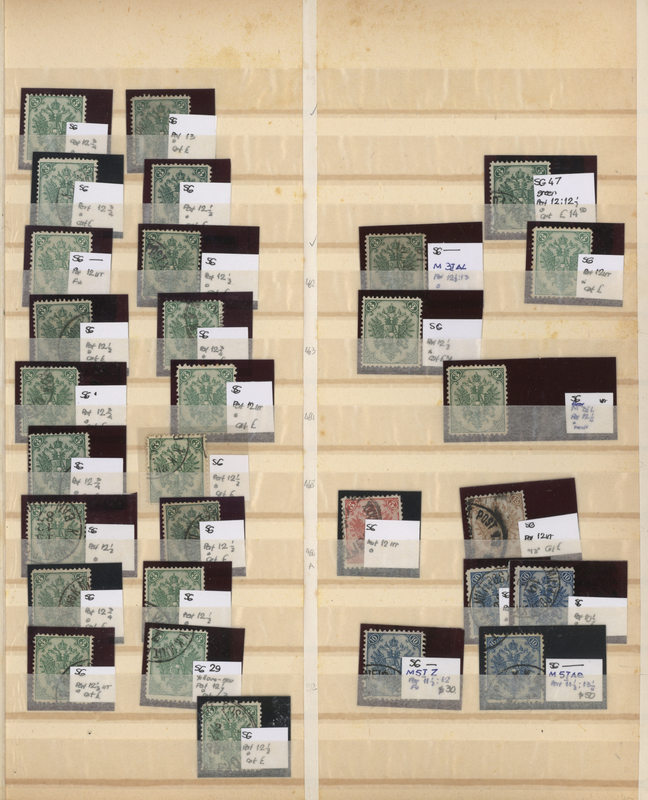 two blocks of four, all stated to types. Michel no. 20. 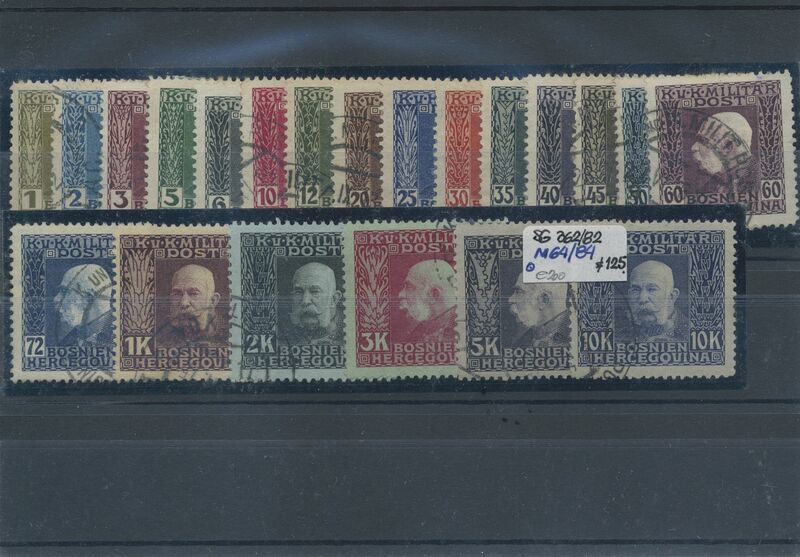 34379 ungebraucht (hinged) * gestempelt (marked) postfrisch (never hinged) ** 1900, Definitives "Double Eagle", 1kr. rose and 2 kr. 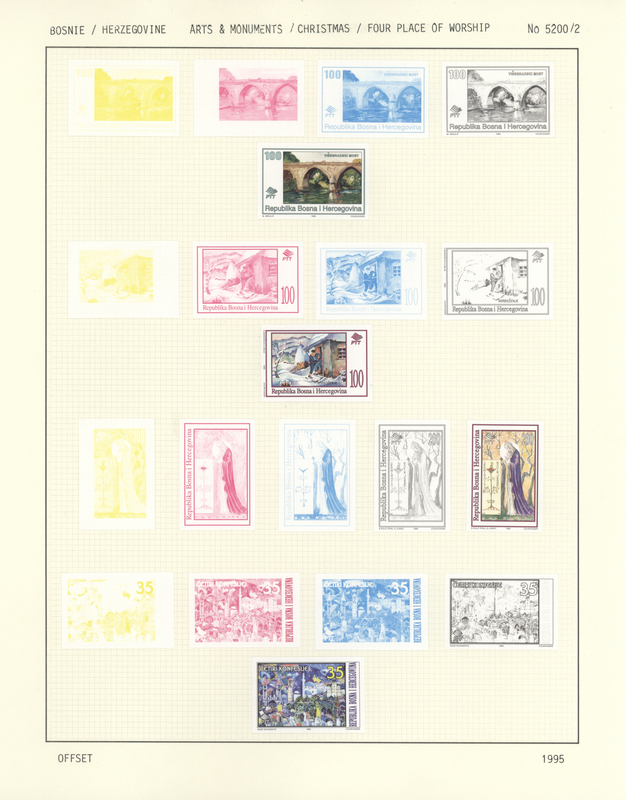 ultramarine, specialised assortment of 19 stamps, all stated to types, incl. 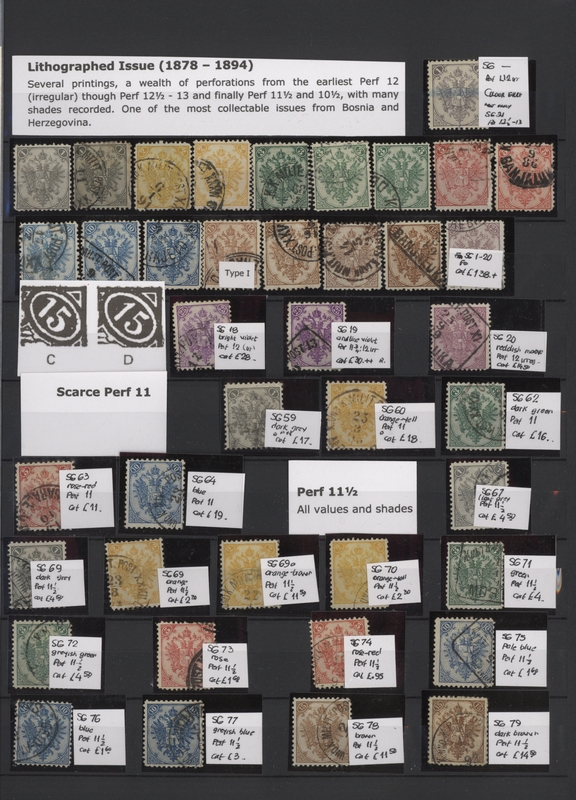 some special perforations 6½ (compound/imperf. between) etc. Michel nos. 21/22. 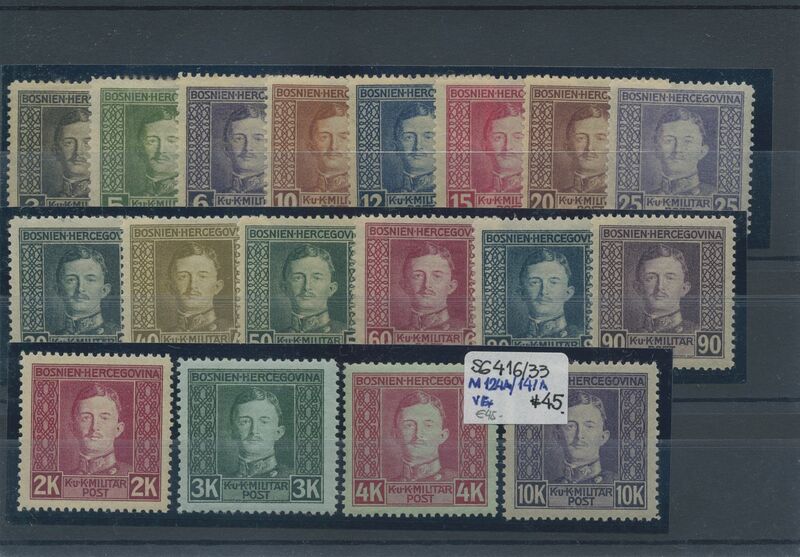 34380 postfrisch (never hinged) ** ungebraucht (hinged) * gestempelt (marked) 1900/1918, mainly mint accumulation of some hundred stamps on stockcards incl. 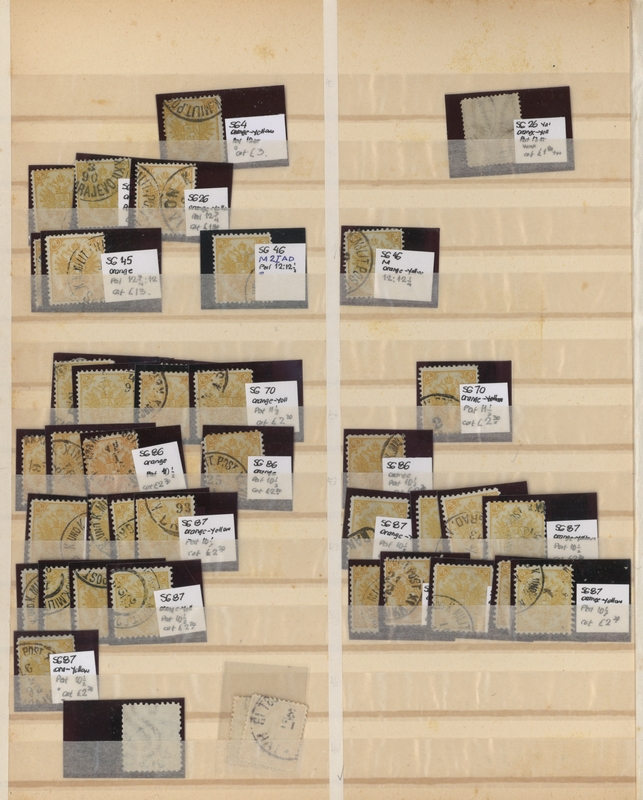 multiples, comprising e.g. 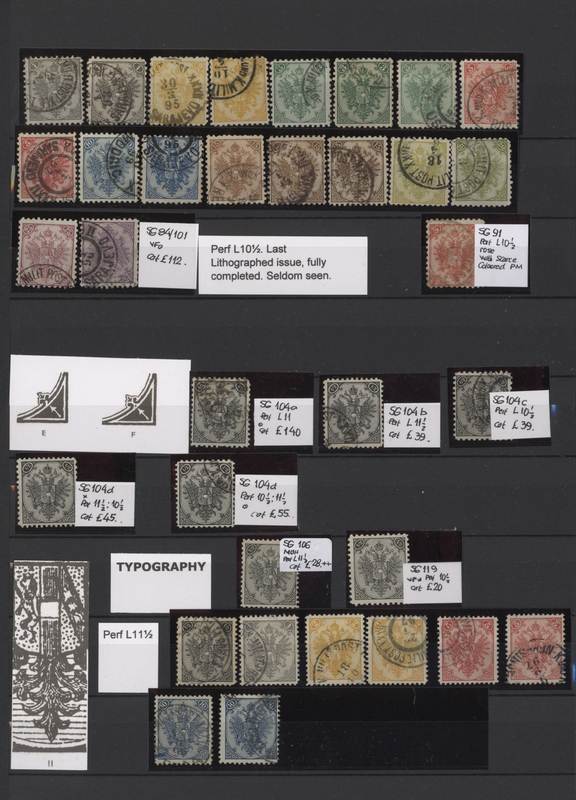 good section 1900 Coat of Arms, four sets 1906 definitives etc. 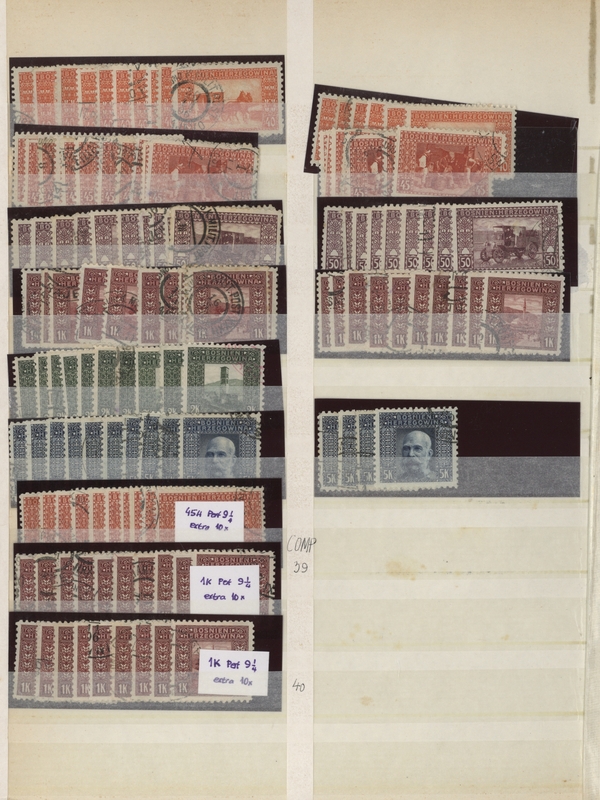 34381 gestempelt (marked) ungebraucht (hinged) * postfrisch (never hinged) ** Briefstück (on piece) 1901/1905, Definitives "Double Eagle", specialised assortment of apprx. 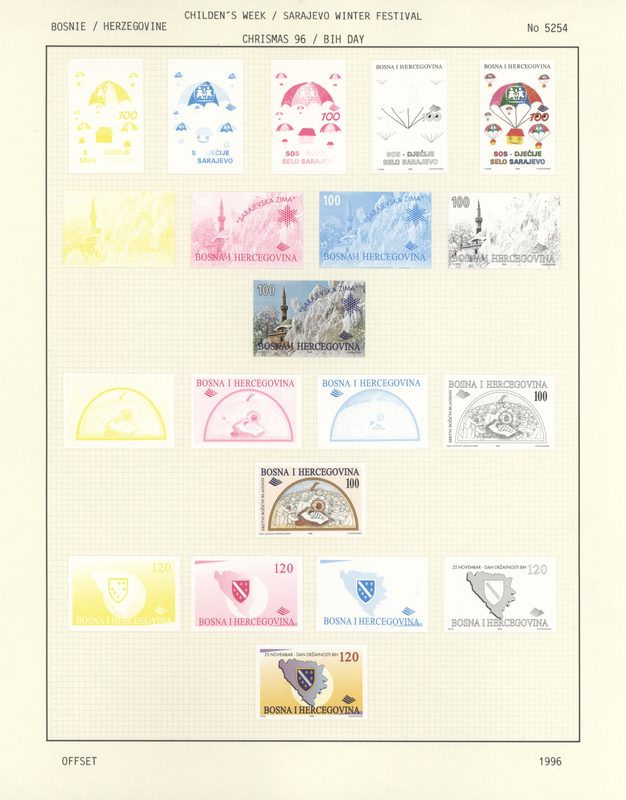 71 stamps, comprising various papers and perforations (e.g. 40h. compound perf. 12½:10½), imperfs, imperf between, proofs etc. Michel nos. 24/28. 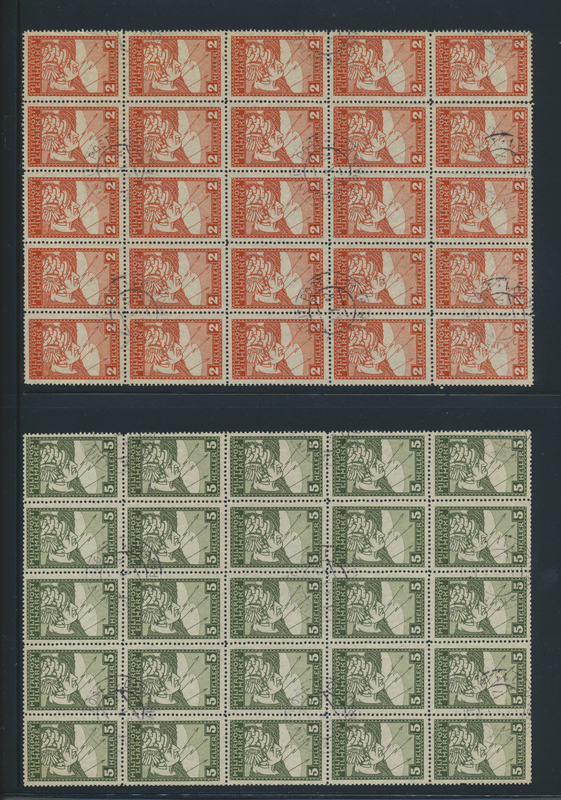 34384 gestempelt (marked) ungebraucht (hinged) * ungebraucht ohne Gummi (unused without gum) (*) 1906, Definitives "Pictorials", specialised assortment of apprx. 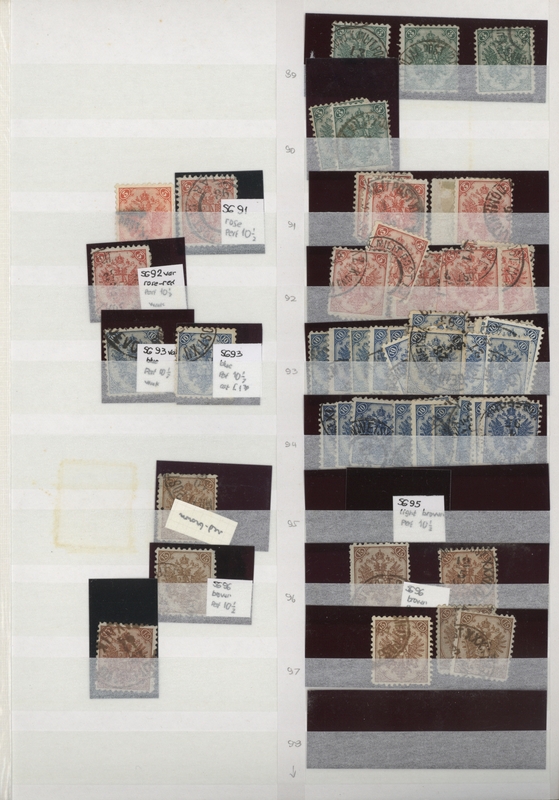 150 stamps plus several colour trials and six single die proofs (these also for stationeries), comprising complete sets, good range of perforations incl. compound, pairs "imperf. between" etc. 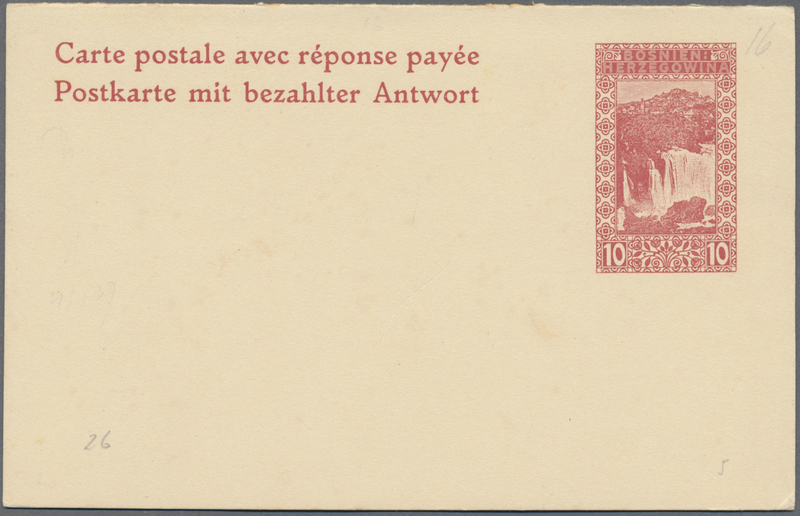 34385 Brief (cover) Ansichtskarte (Picture postcard) 1906/1918, assortment of 21 covers/cards/ppc, incl. 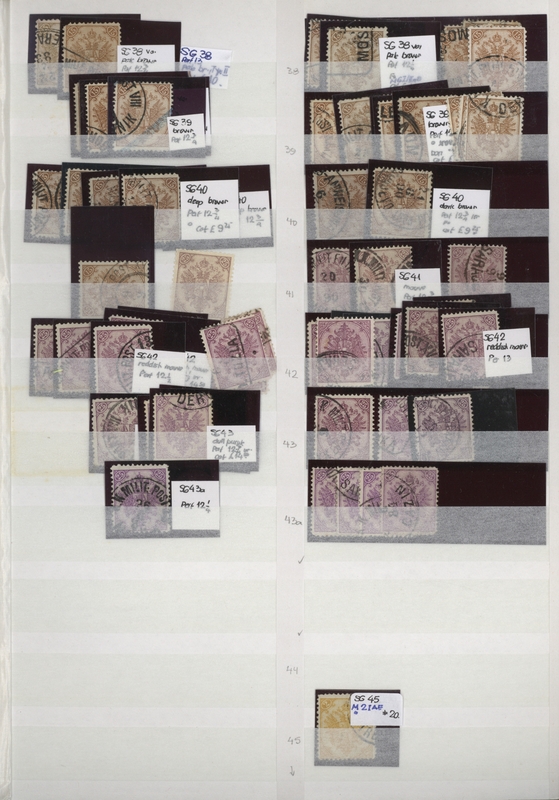 wrappers, registered and censored mail. 34386 Brief (cover) 1906/1918, collection of 26 commercial covers on written up album pages, incl. registered and insured letters and several money orders. 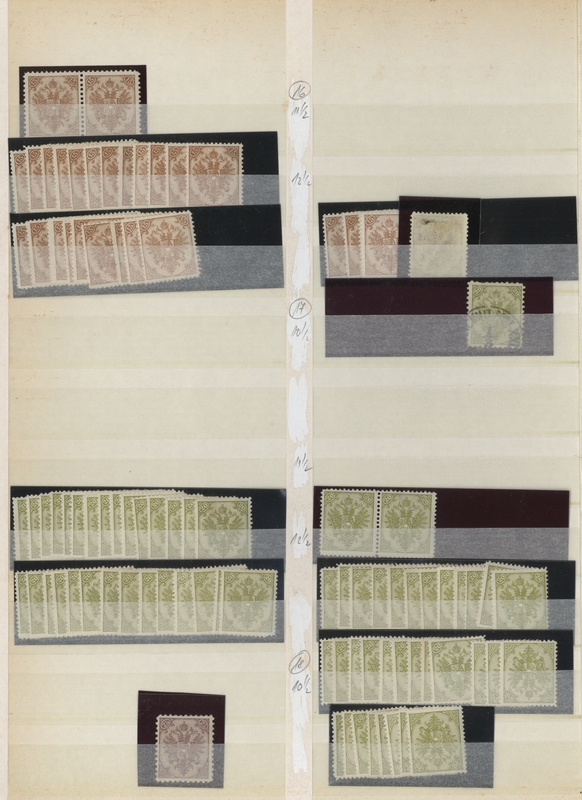 34387 ungebraucht (hinged) * postfrisch (never hinged) ** gestempelt (marked) 1906/1918, mainly mint assortment on retail cards, comprising complete sets, blocks of four, single die proofs, colour trials etc. 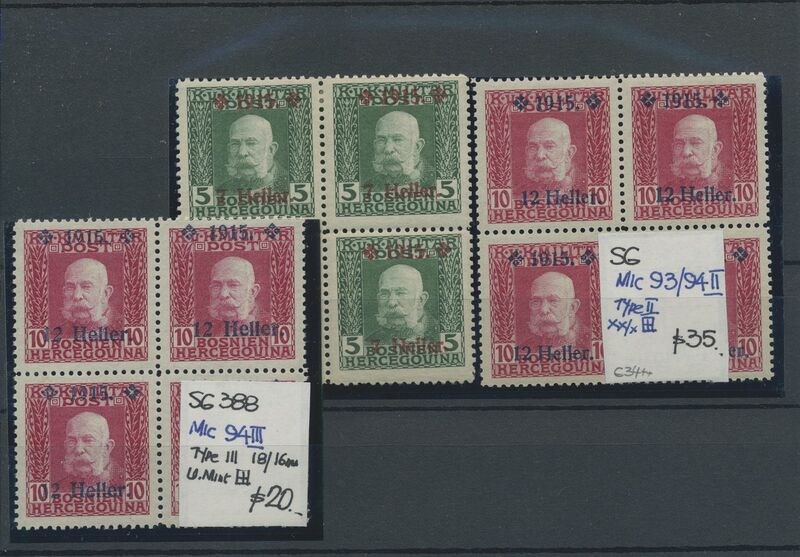 34388 ungebraucht (hinged) * gestempelt (marked) 1910/1912, Jubilee issue (mainly) and some 1912 definitives, specialised assortment of apprx. 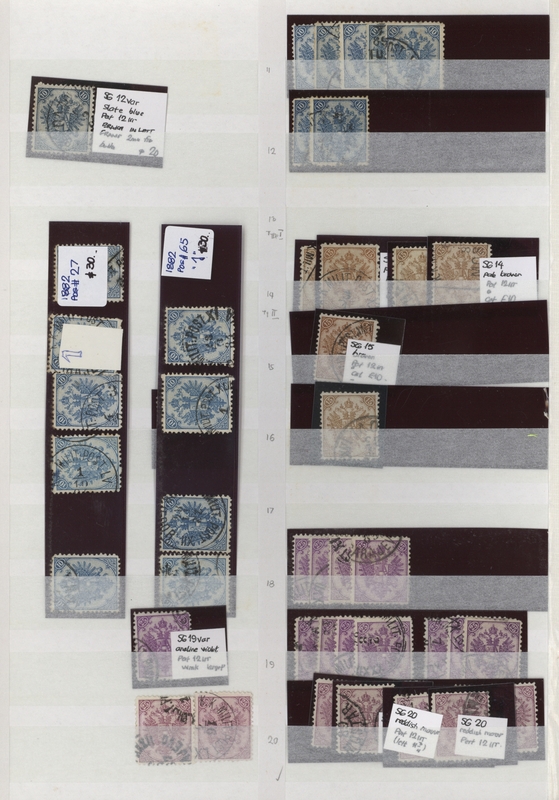 152 stamps, comprising complete sets and especially 16 colour trials. Michel nos. 45/63. 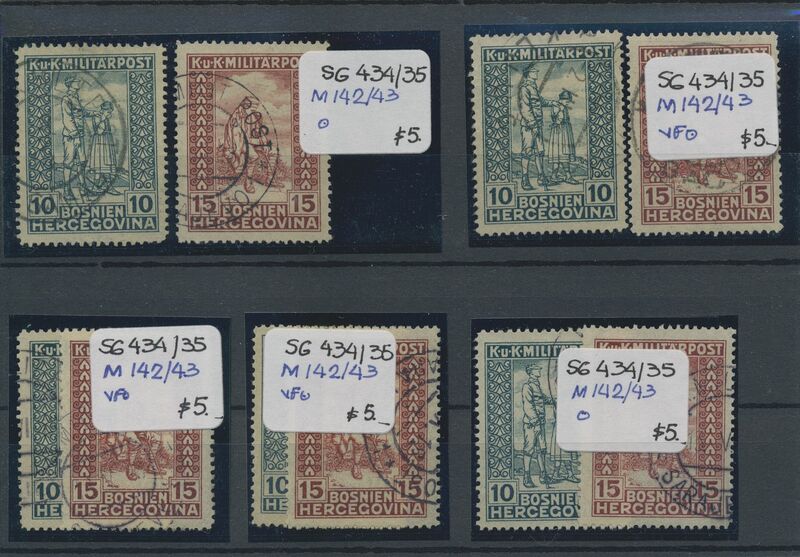 34389 gestempelt (marked) ungebraucht (hinged) * postfrisch (never hinged) ** 1912/1918, Various issues, specialised assortment of apprx. 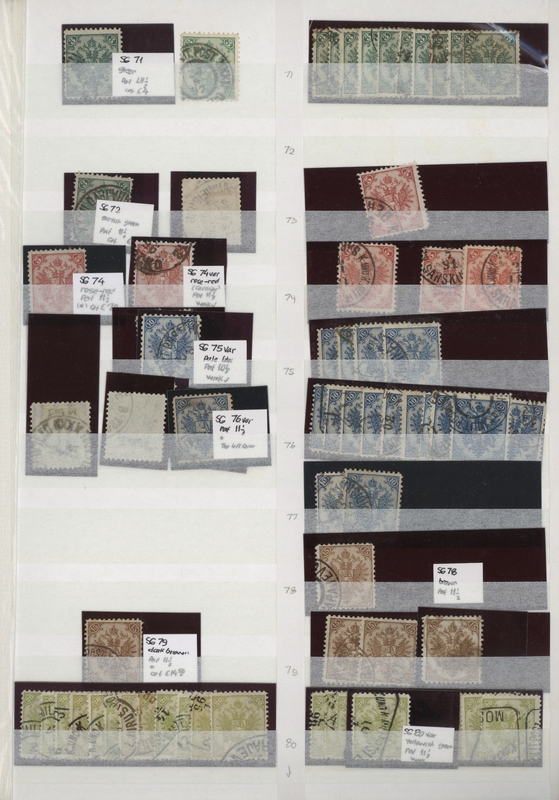 183 stamps, comprising complete sets, some specialities of perforation, imperf between, imperfs, colour trials etc. Michel nos. 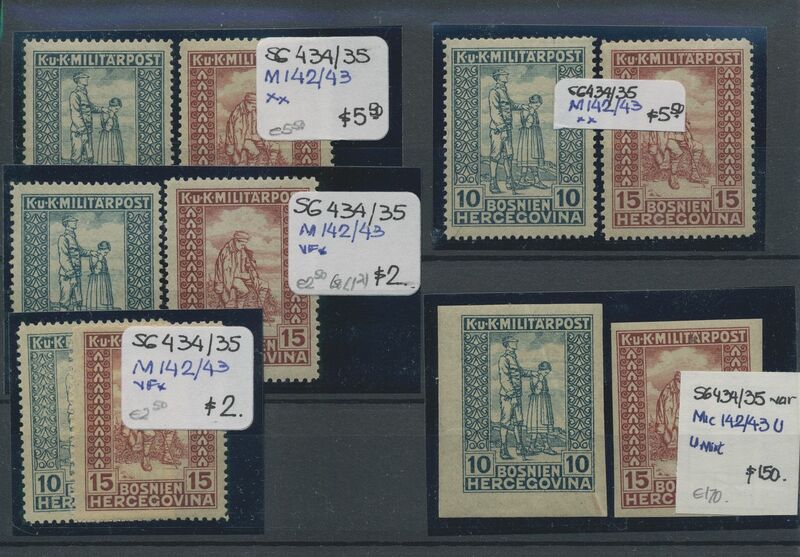 64/146 ex. 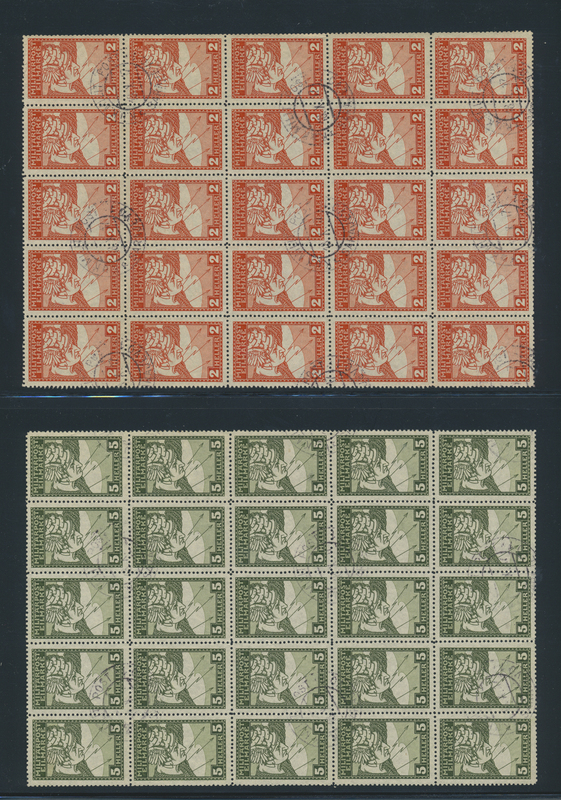 34390 ungebraucht (hinged) * postfrisch (never hinged) ** gestempelt (marked) 1914/1918, Various overprint issues, specialised assortment of apprx. 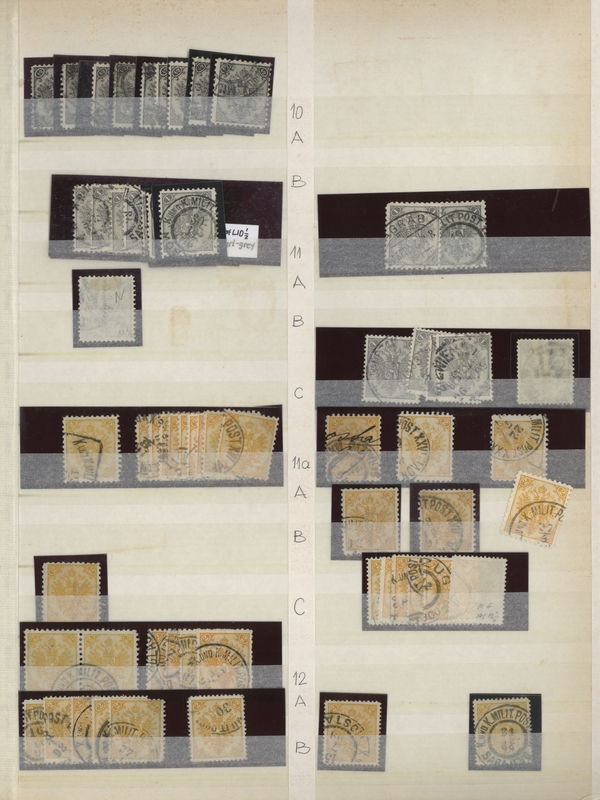 49 stamps, mainly showing varieties of overprint like mutilated figures/double/inverted/shifted etc. Michel nos. 89/94, 147/48. 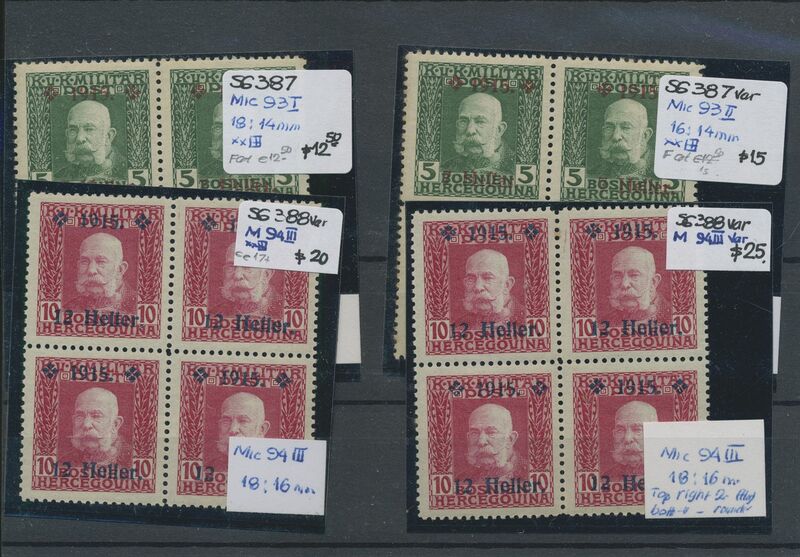 34391 postfrisch (never hinged) ** ungebraucht (hinged) * gestempelt (marked) 1916, Express stamps, lot of five stamps incl. two mint copies 2h. vermilion in better compound perf. 11½:12½ (not signed). Michel nos. 117/18. 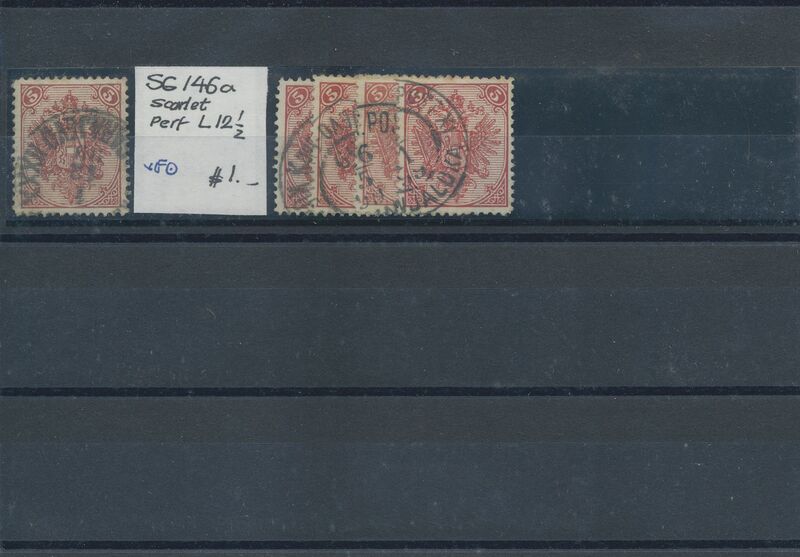 34392 gestempelt (marked) postfrisch (never hinged) ** ungebraucht (hinged) * 117/118 1916: Eilmarken für Drucksachen - kleine Spezialsammlung mit einigen großen Einheiten.